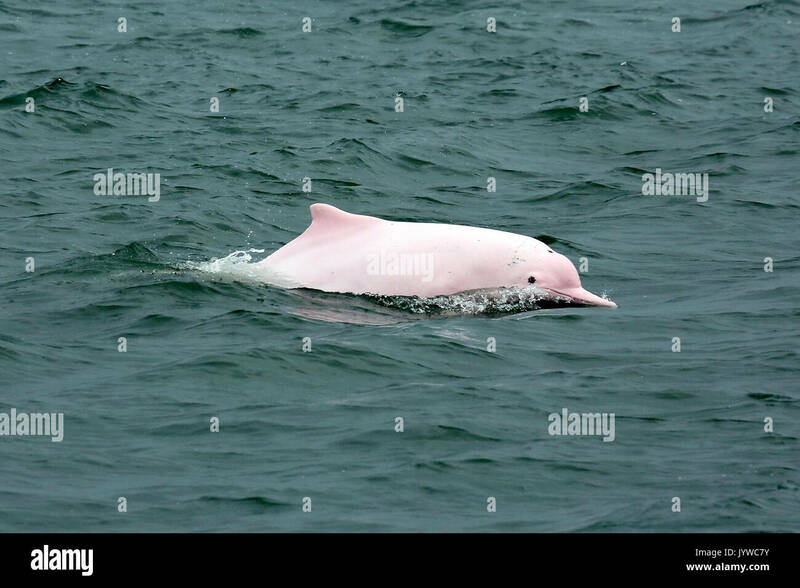 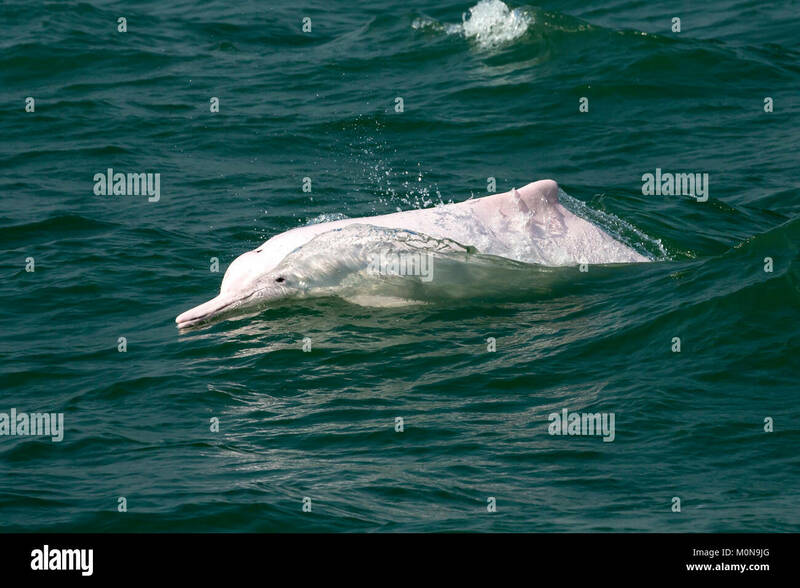 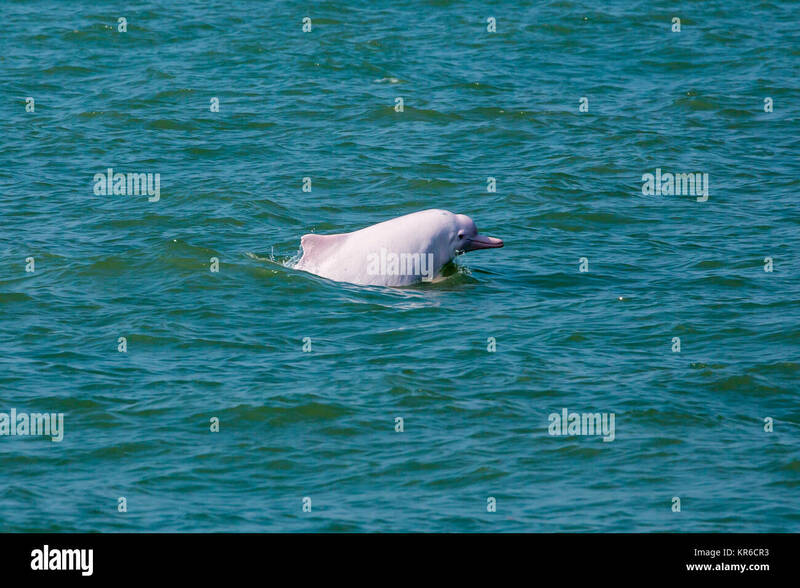 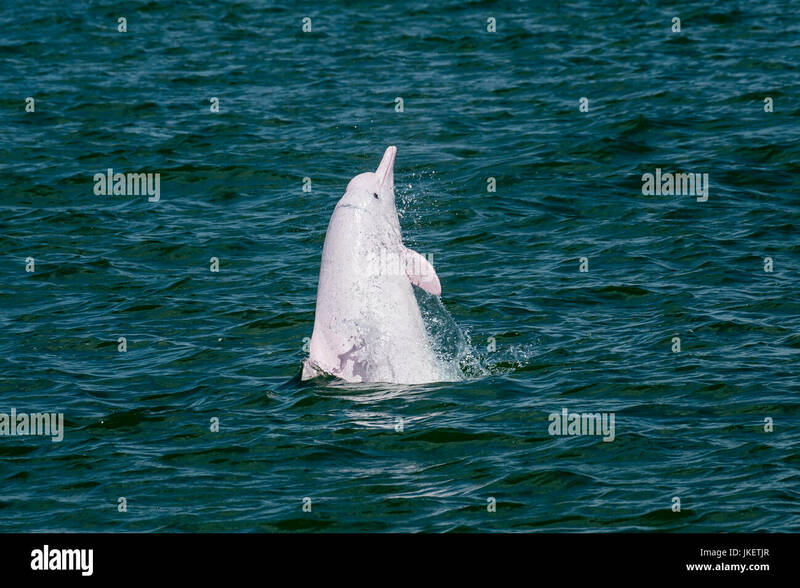 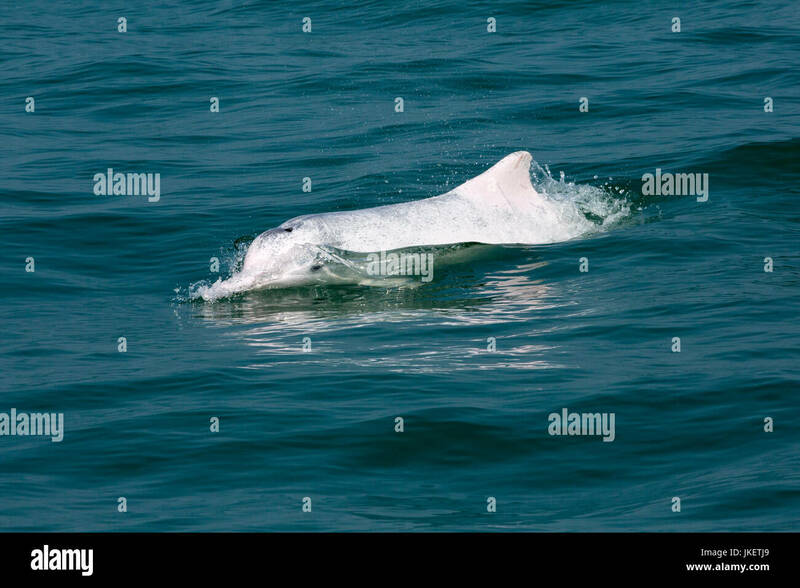 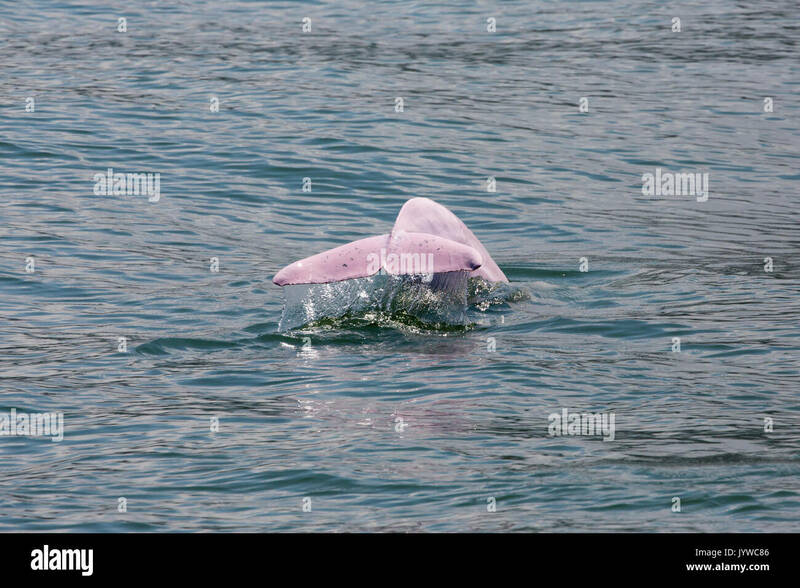 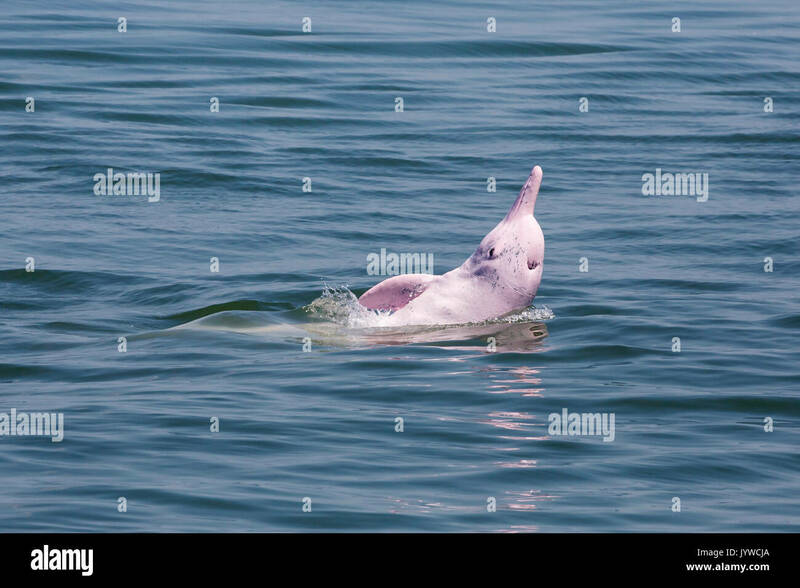 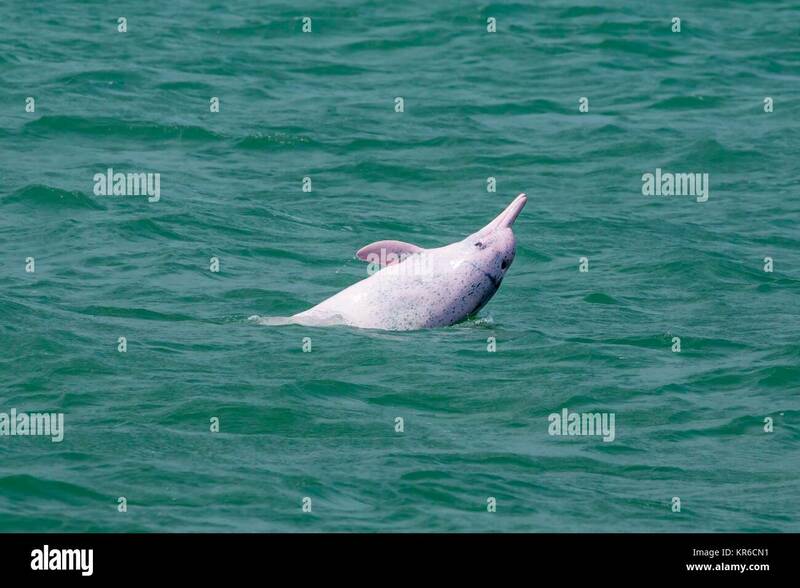 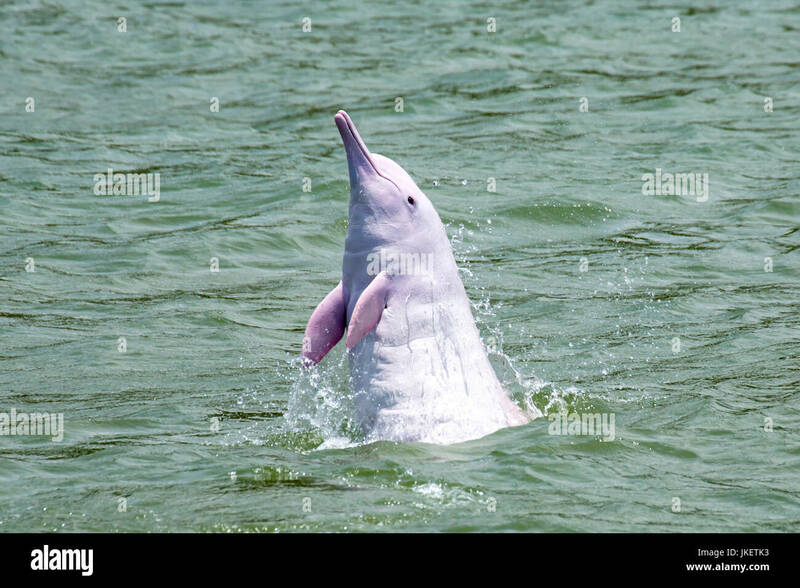 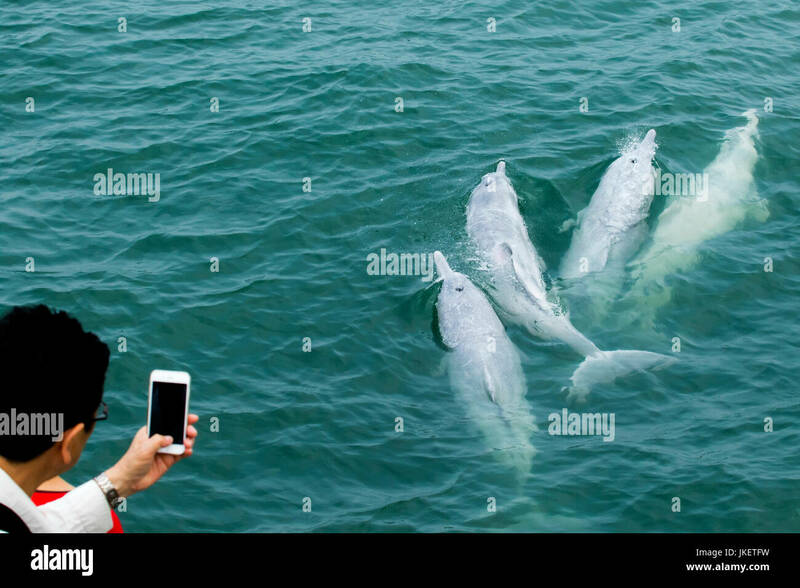 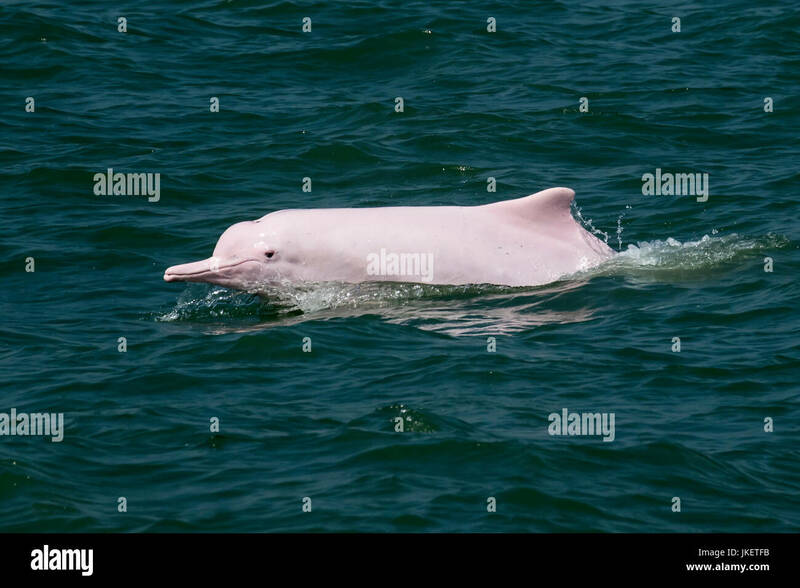 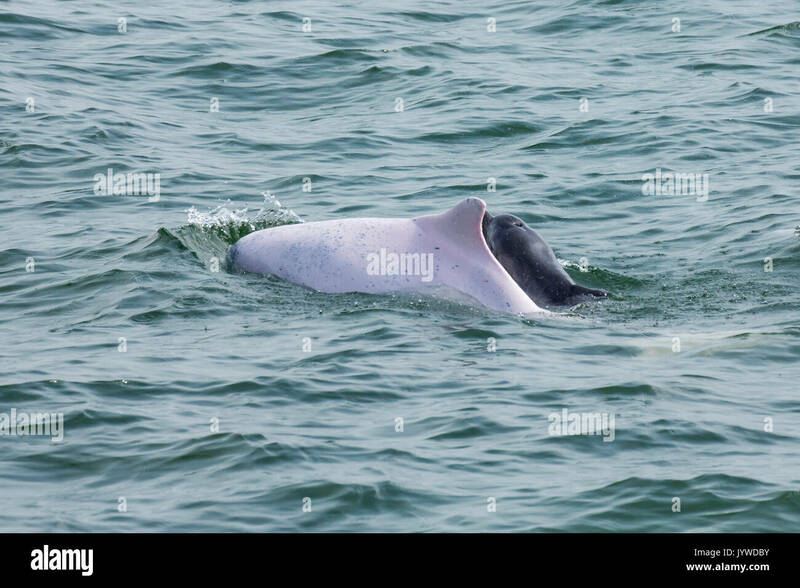 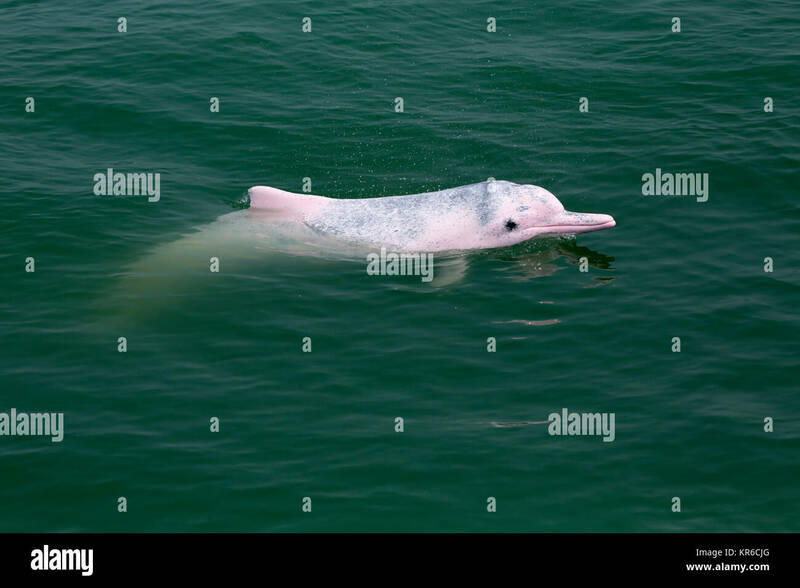 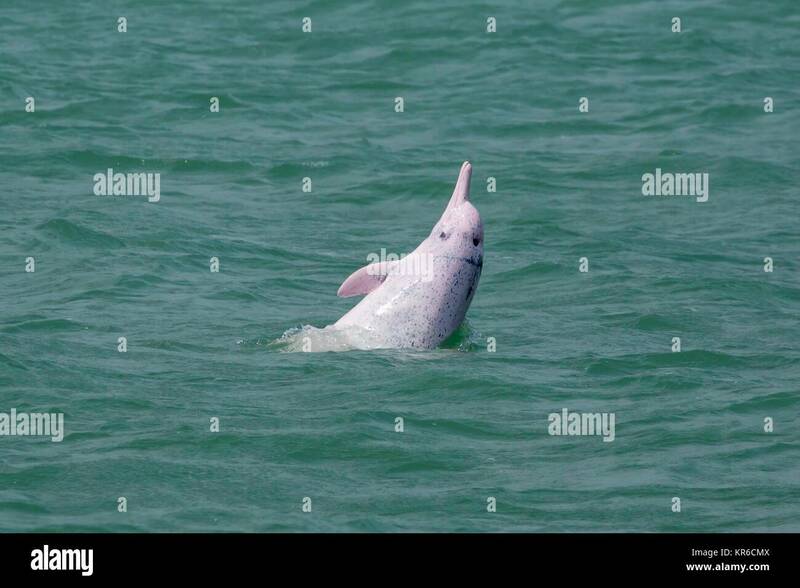 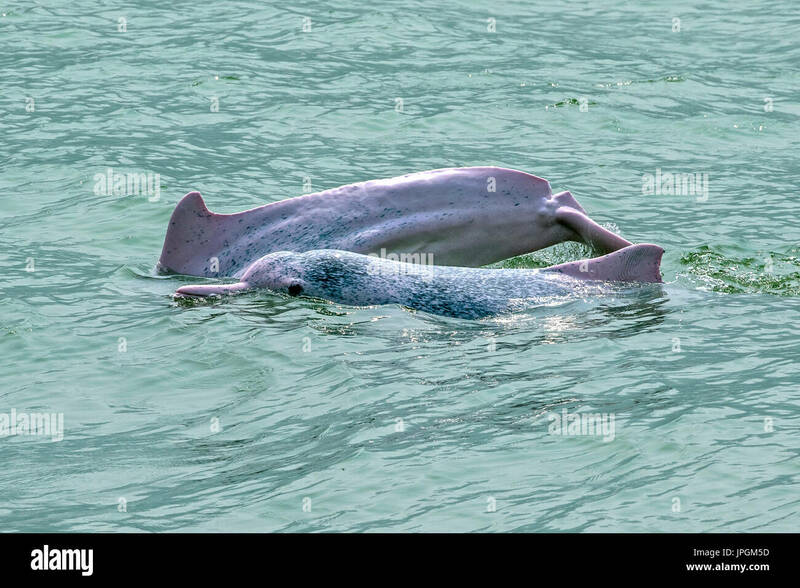 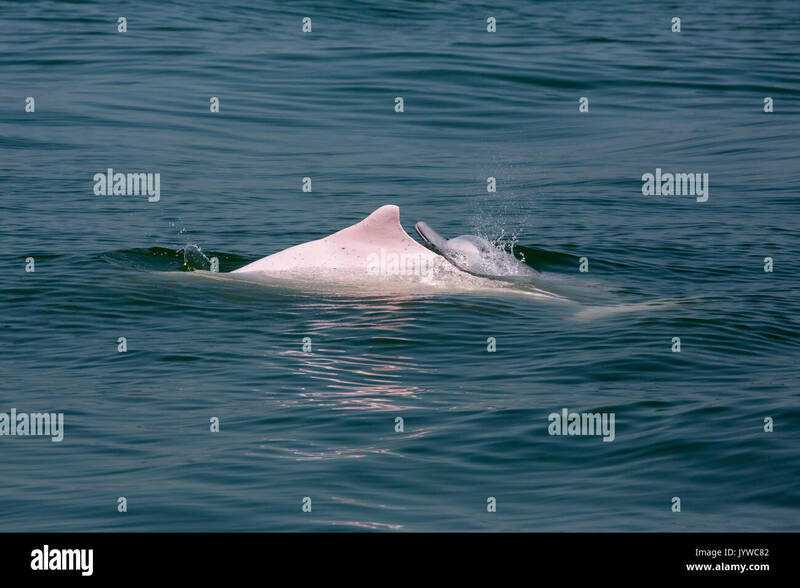 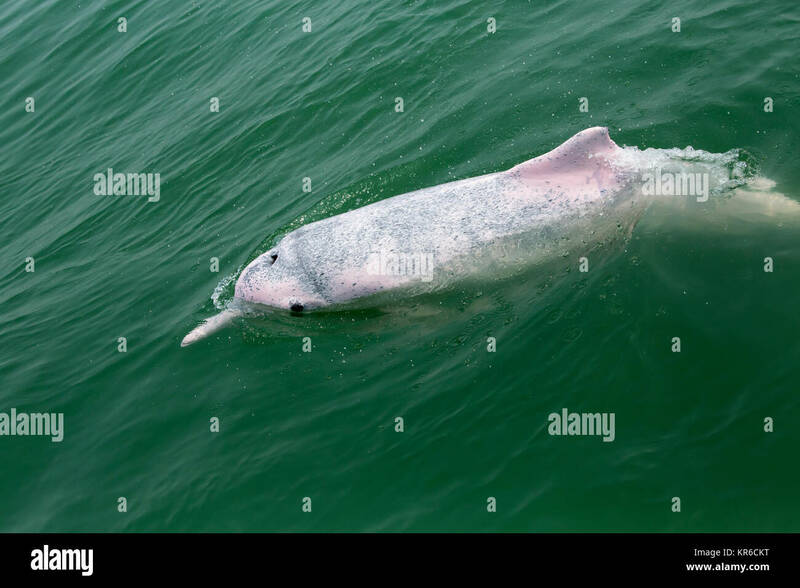 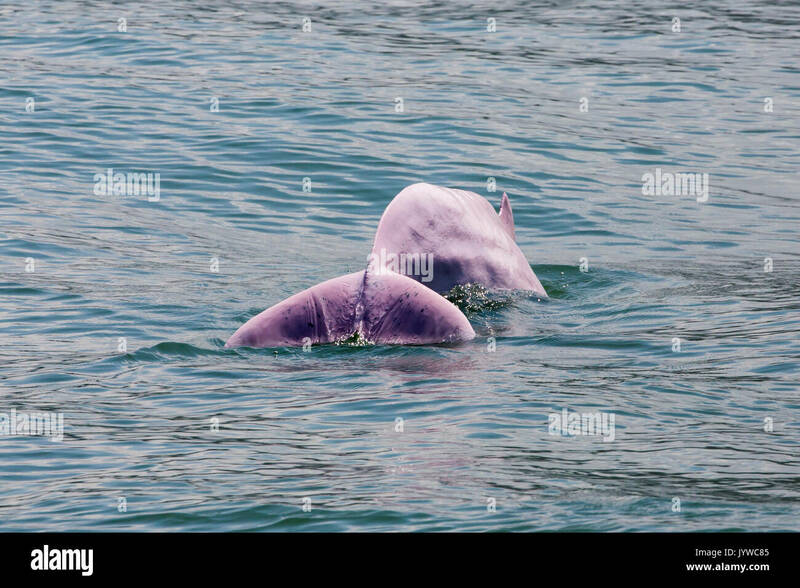 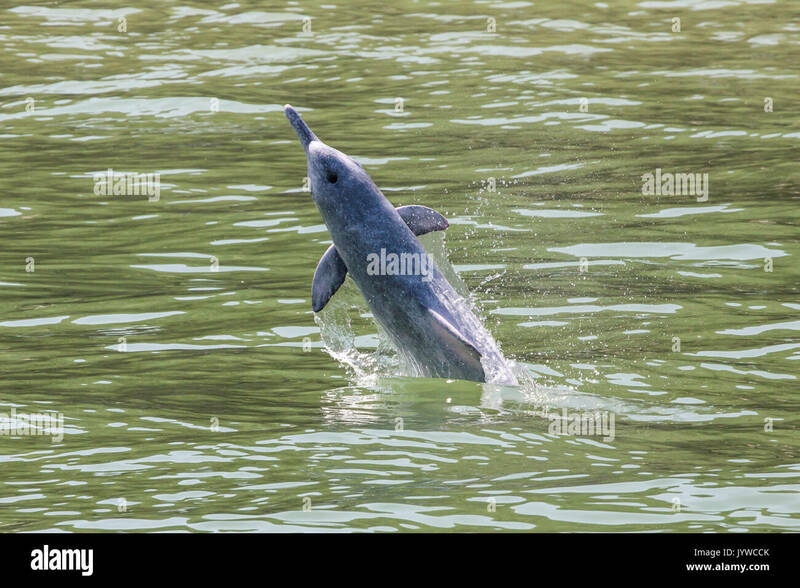 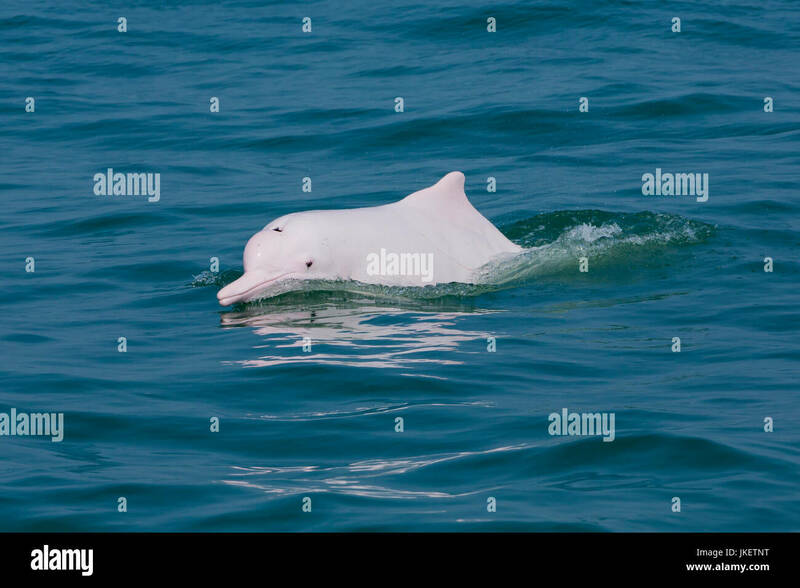 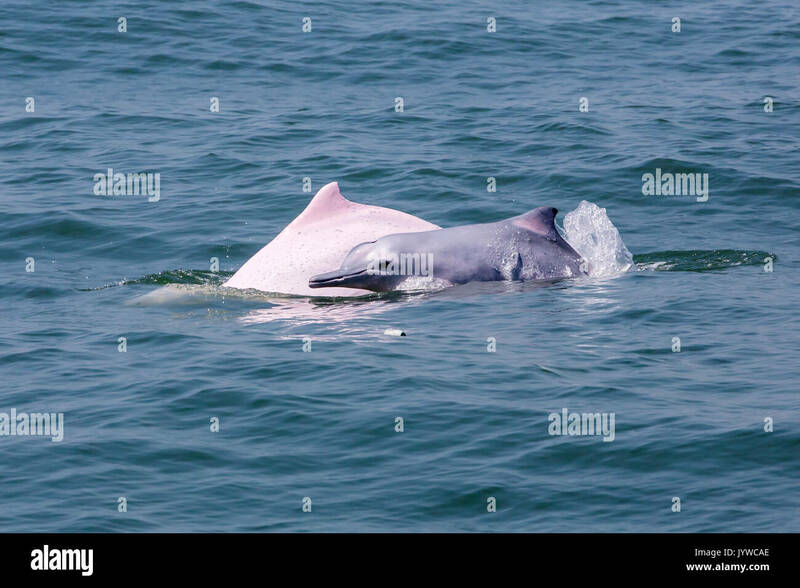 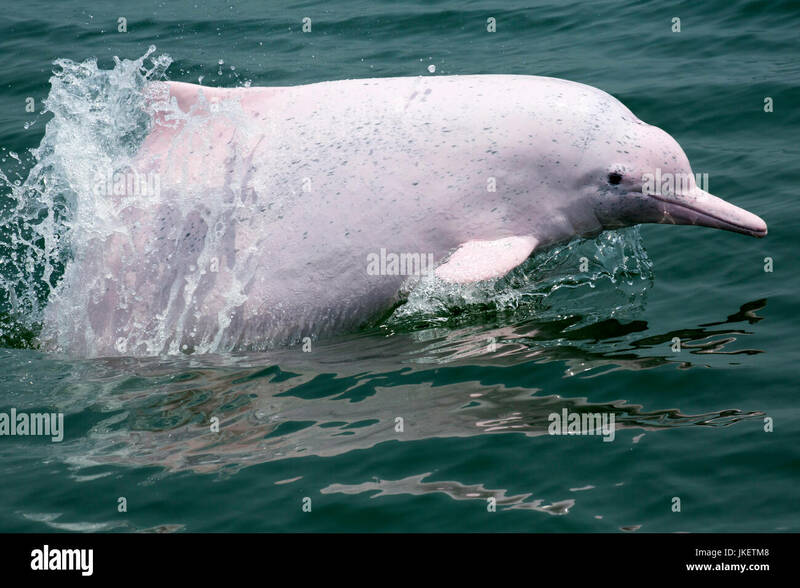 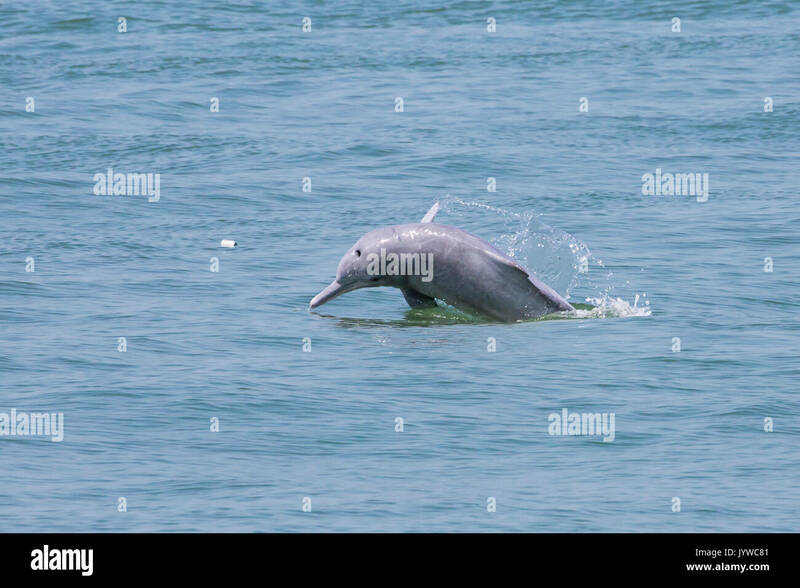 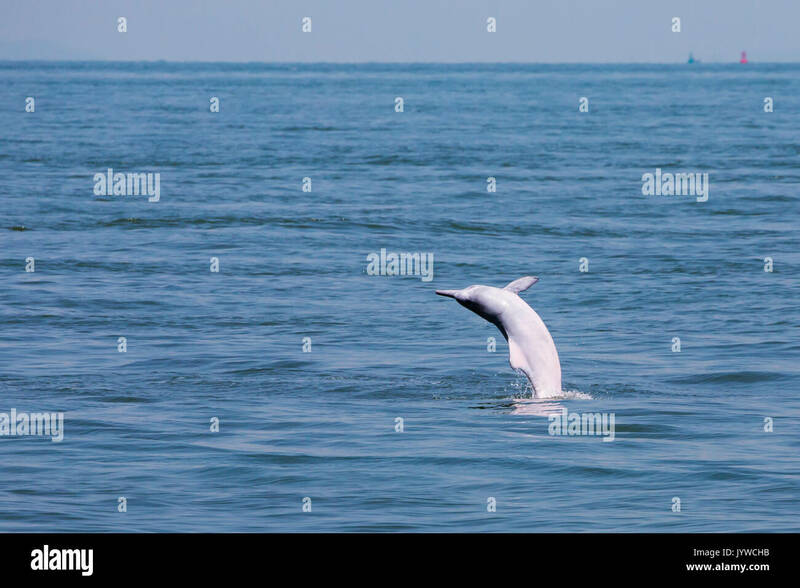 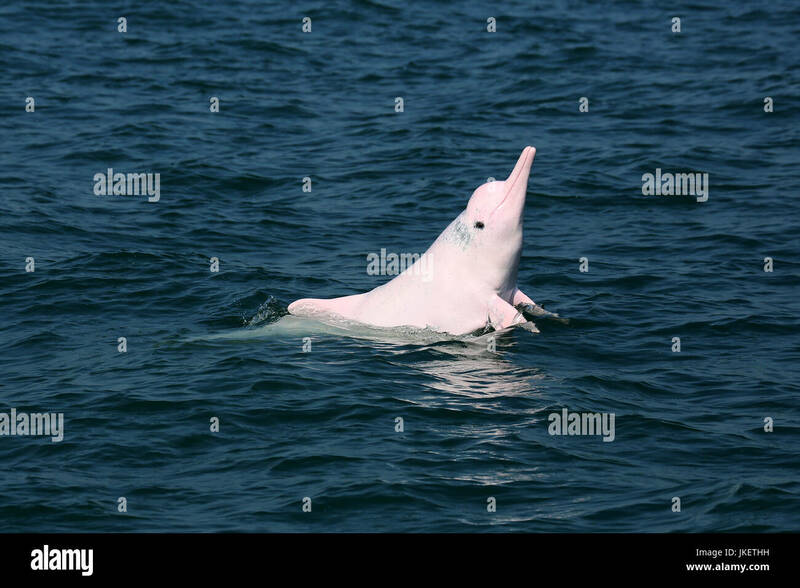 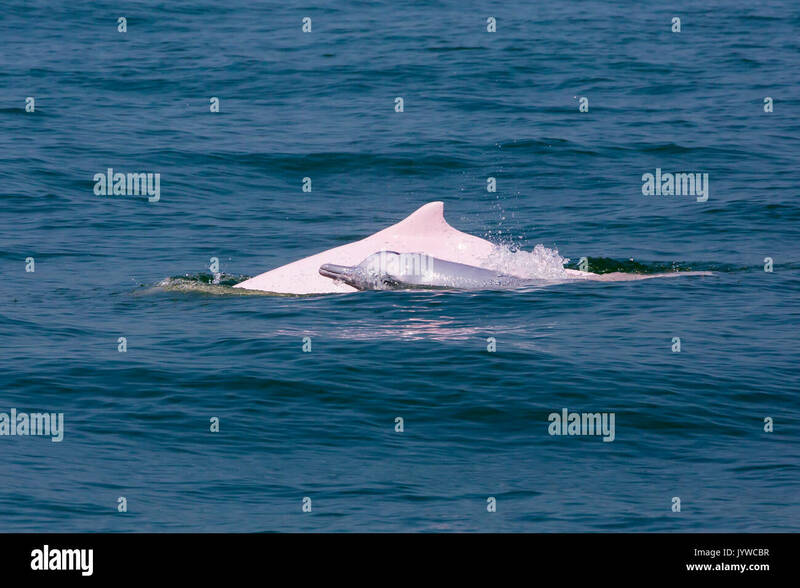 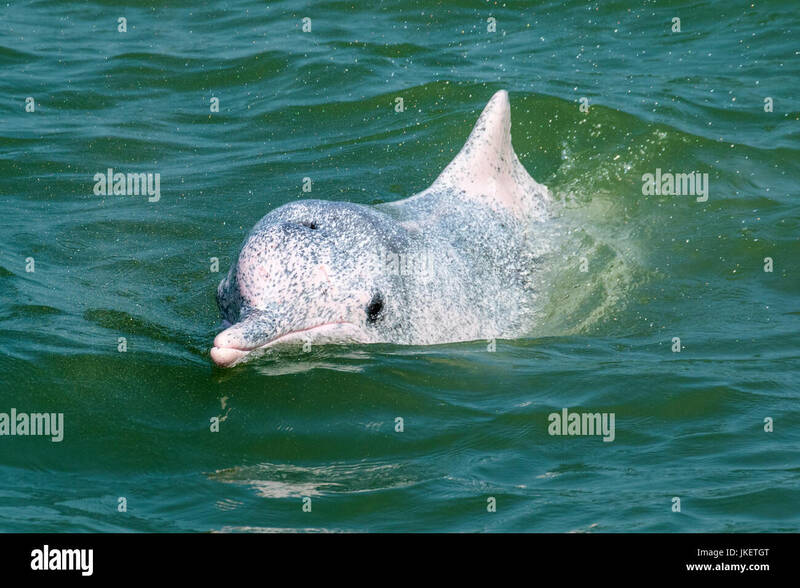 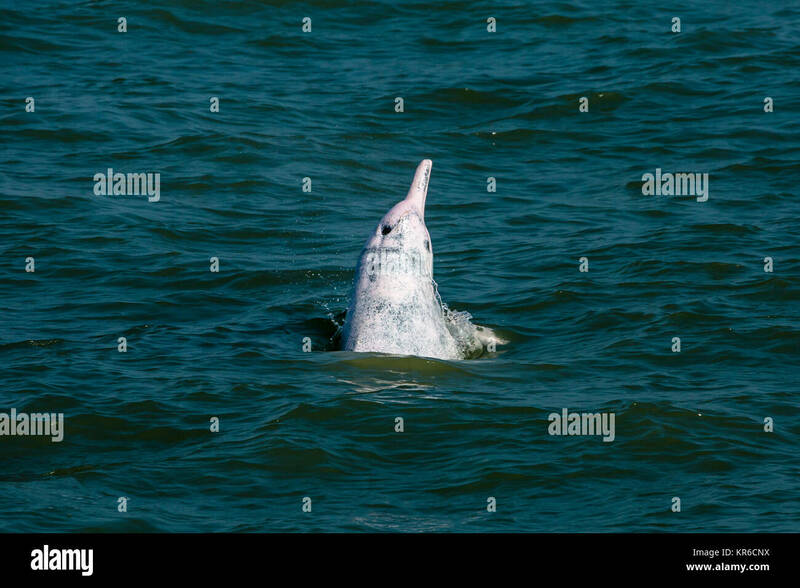 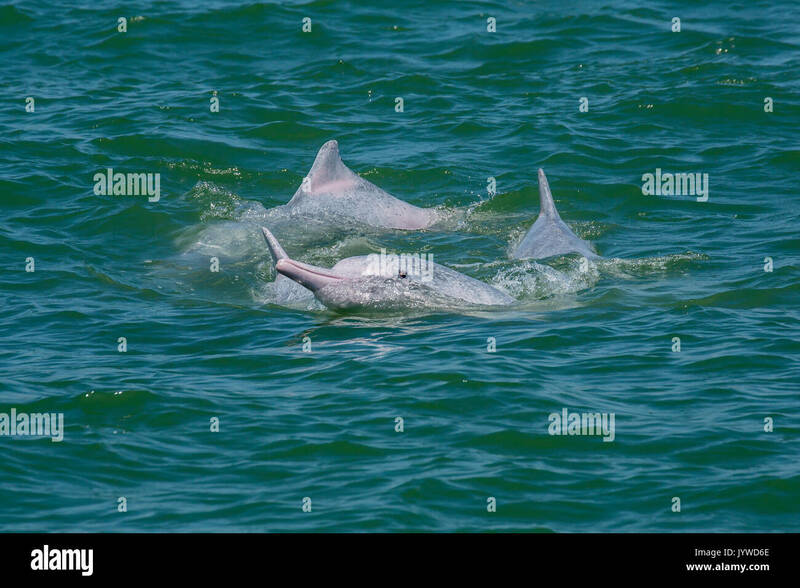 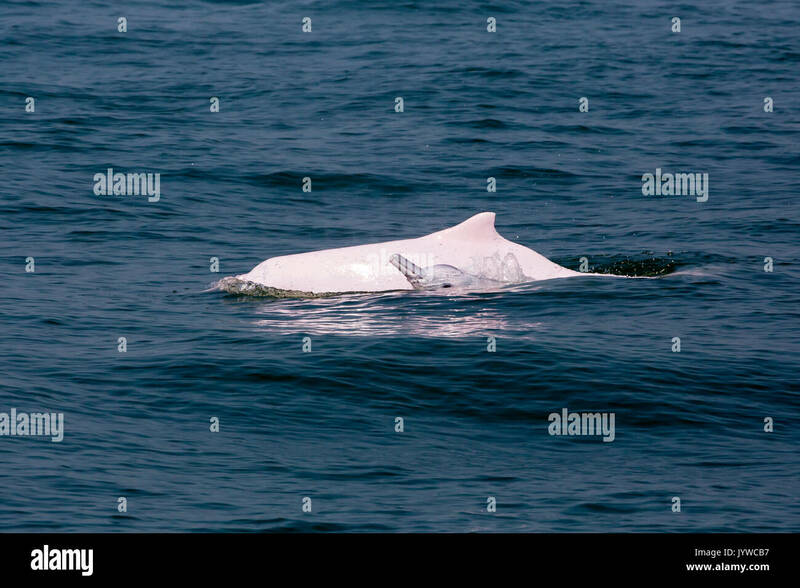 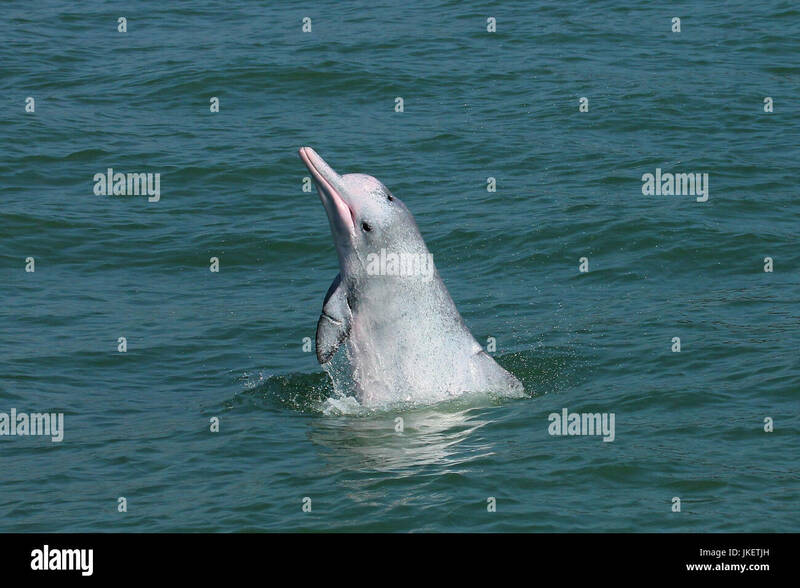 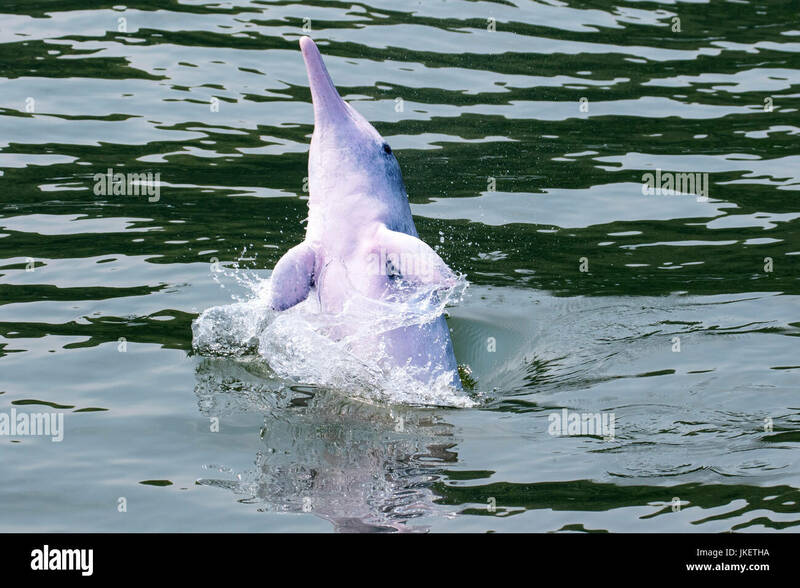 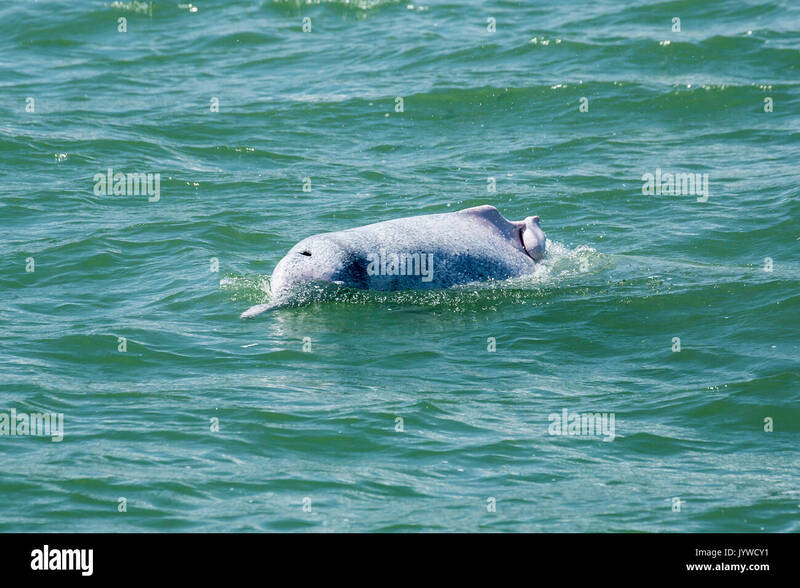 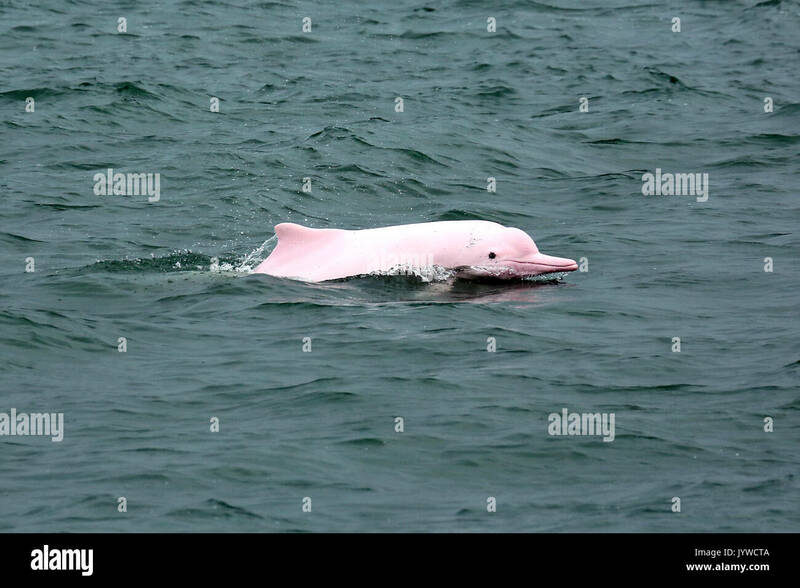 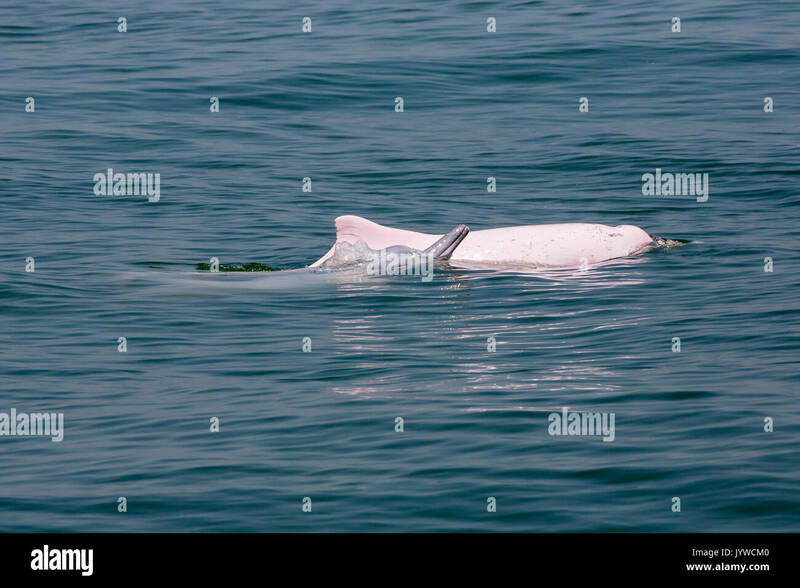 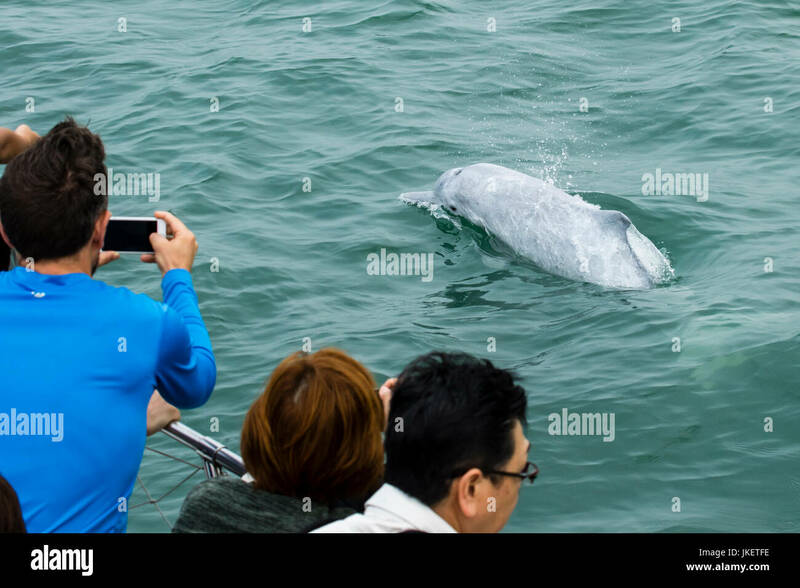 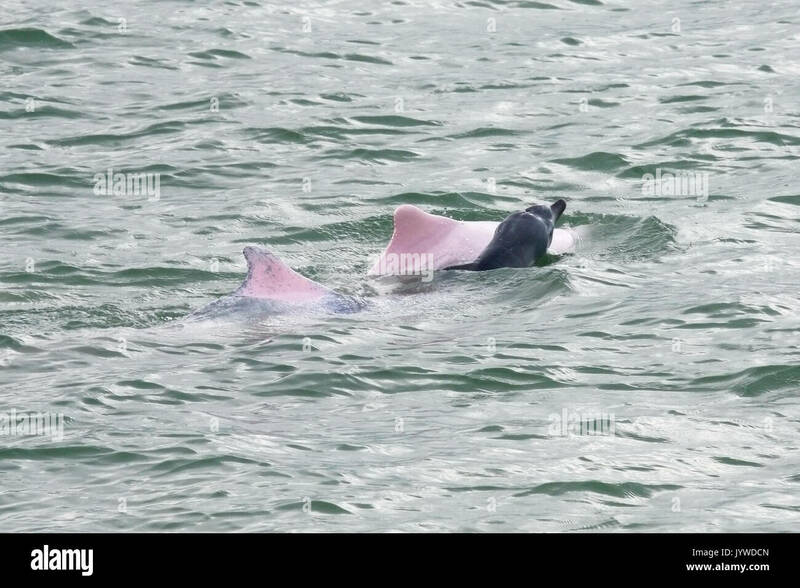 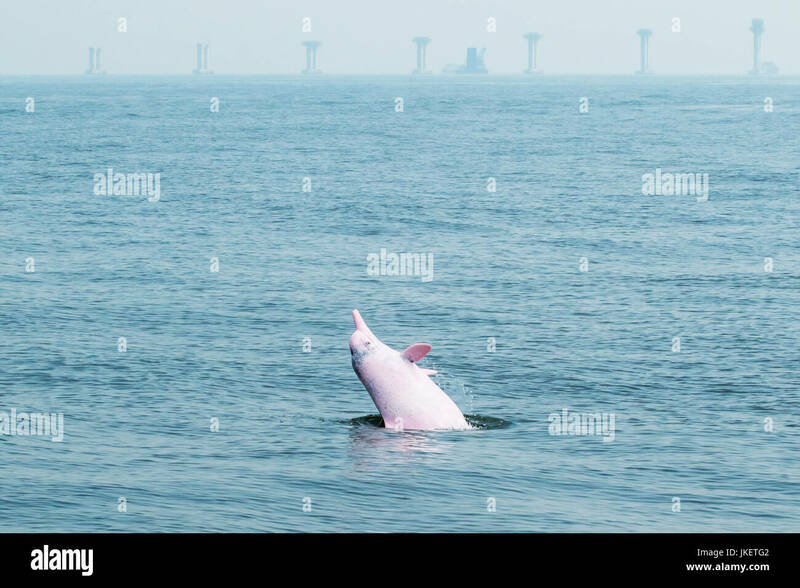 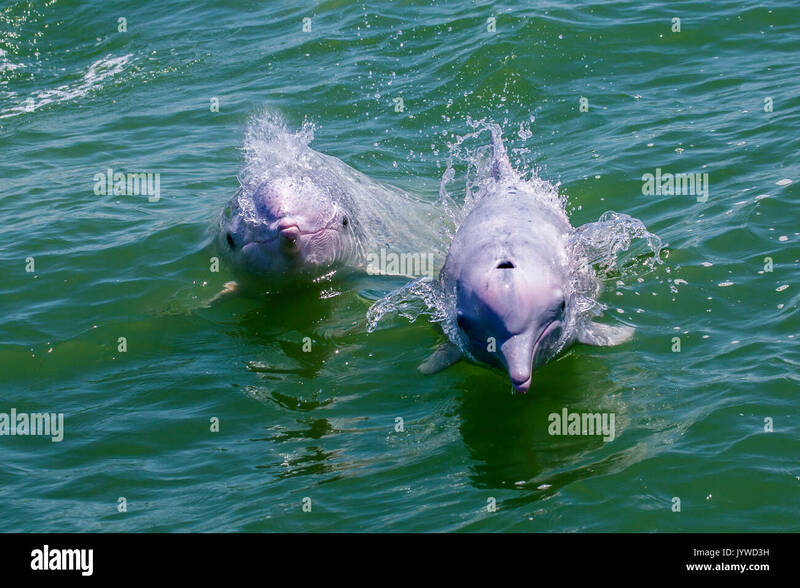 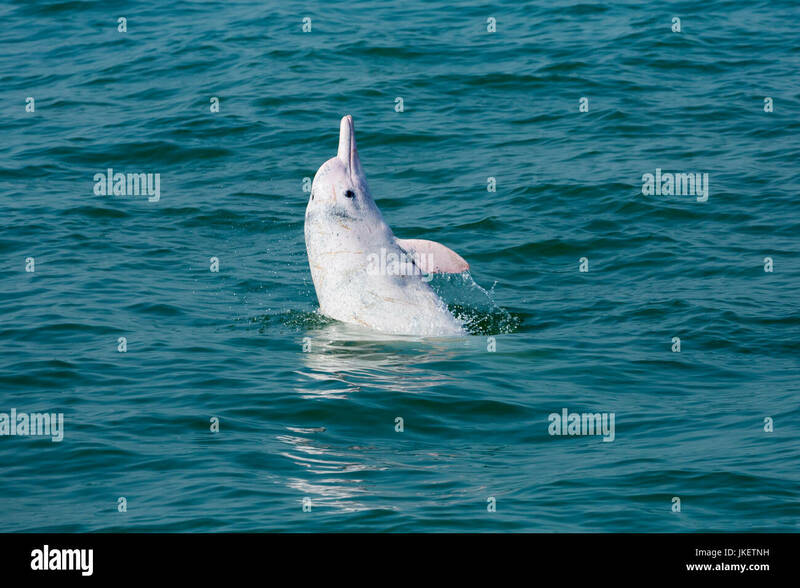 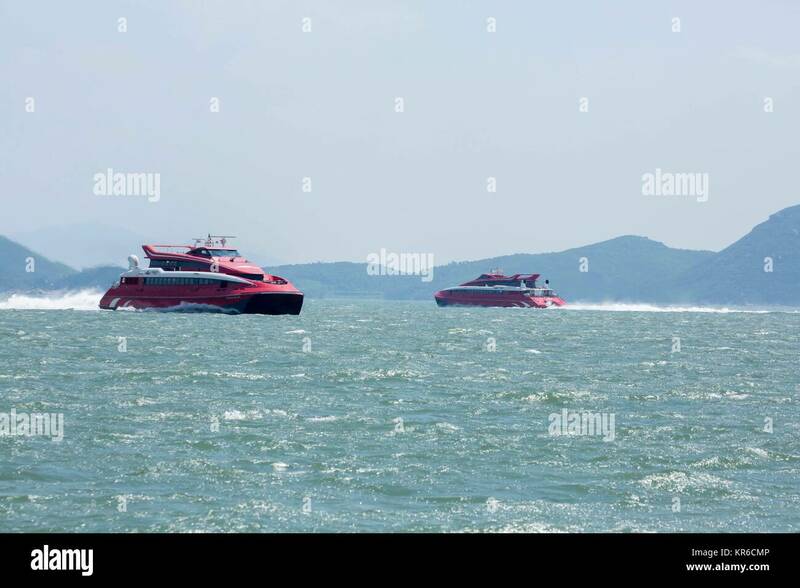 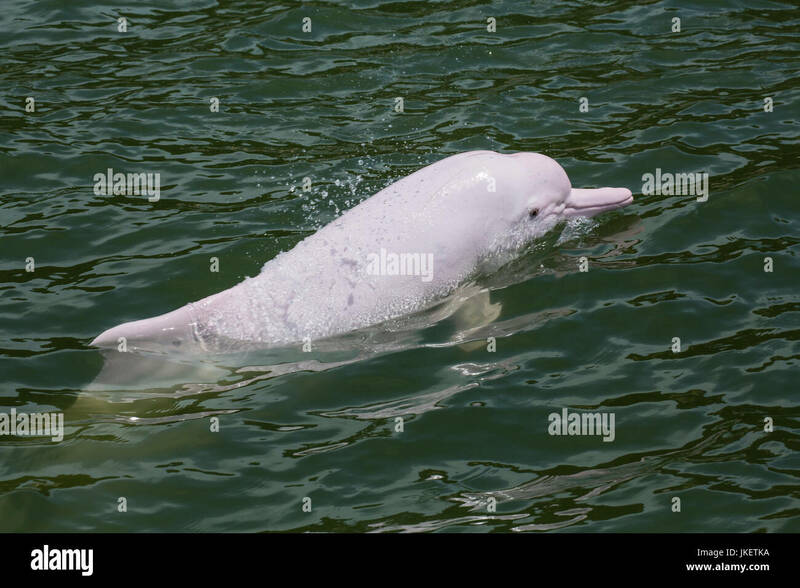 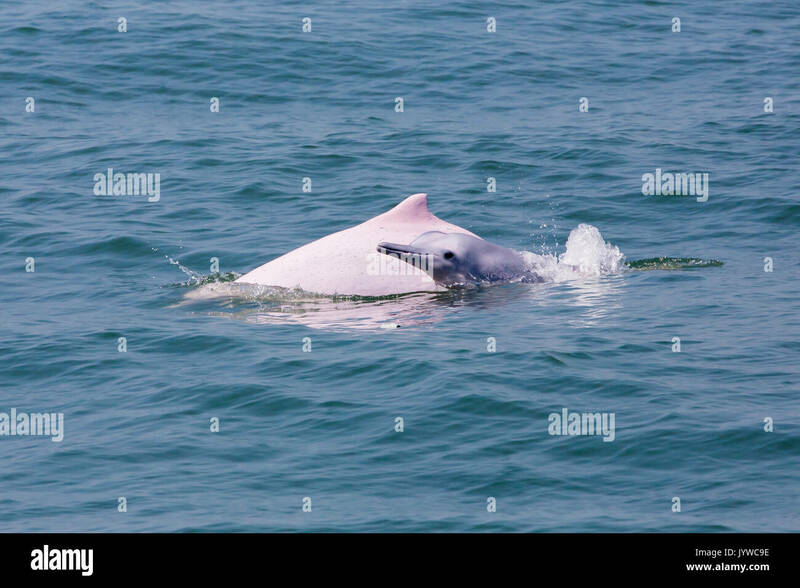 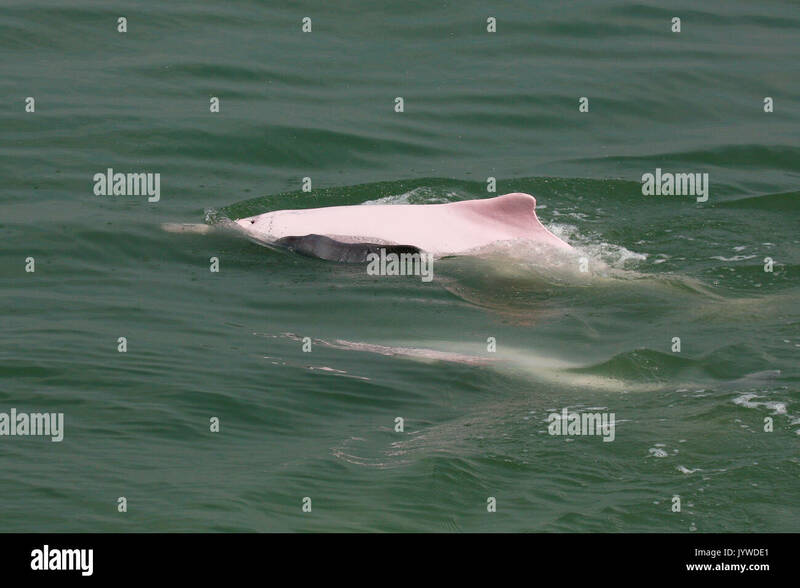 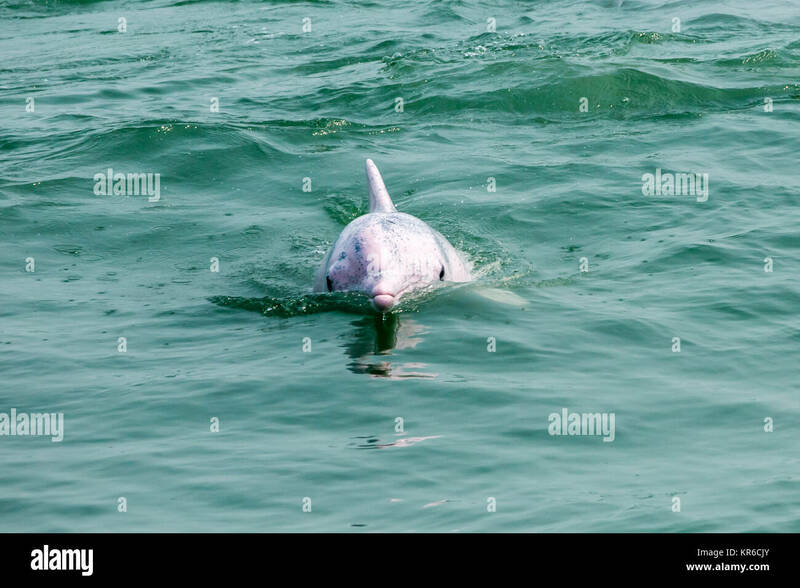 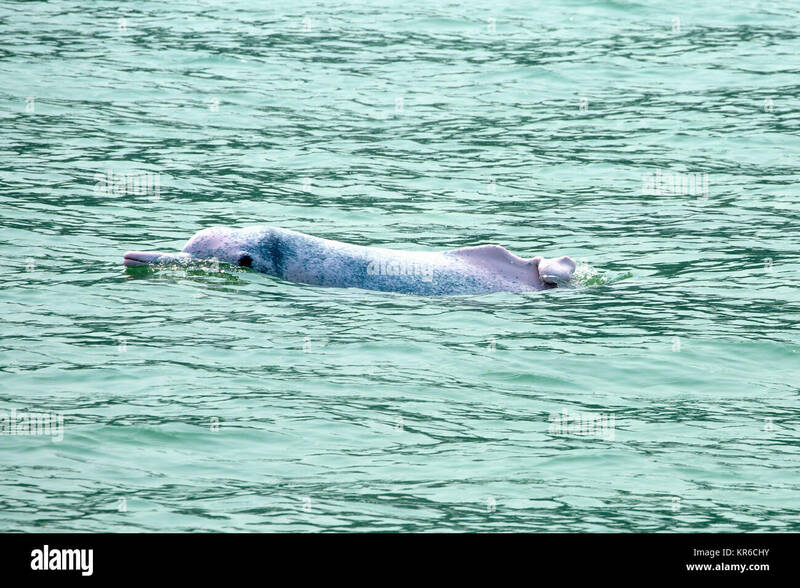 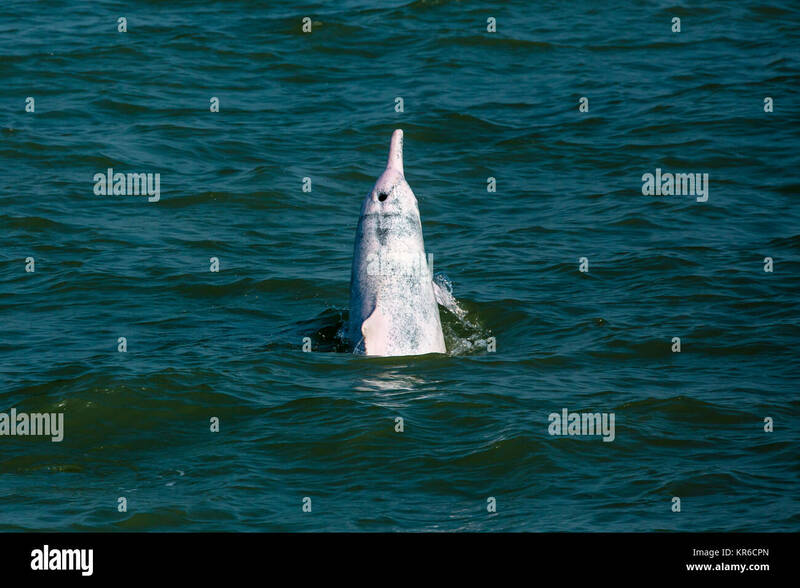 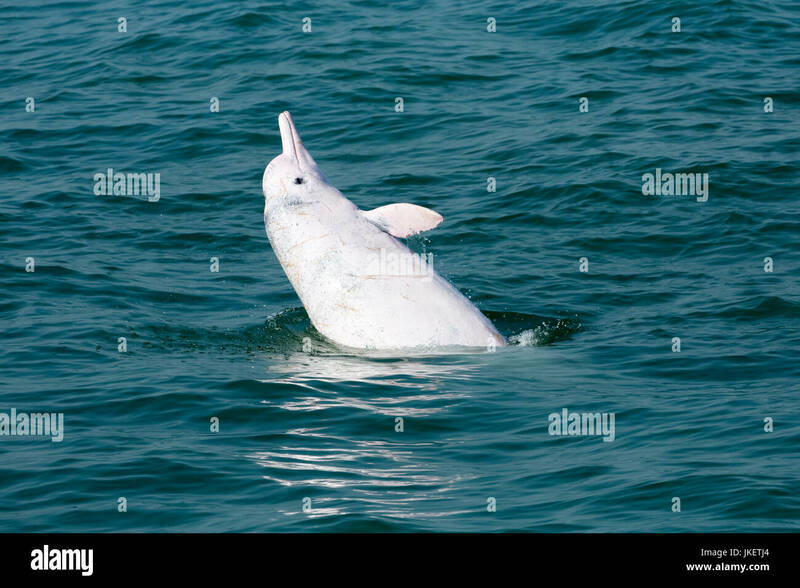 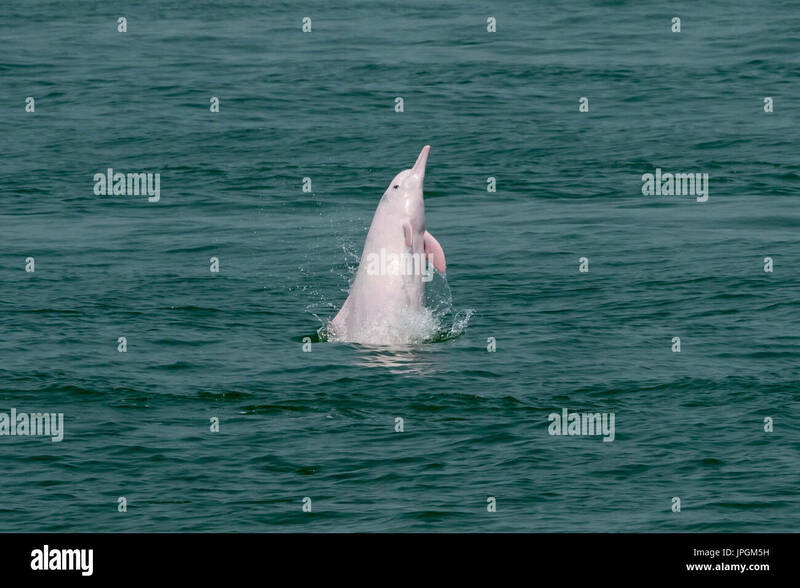 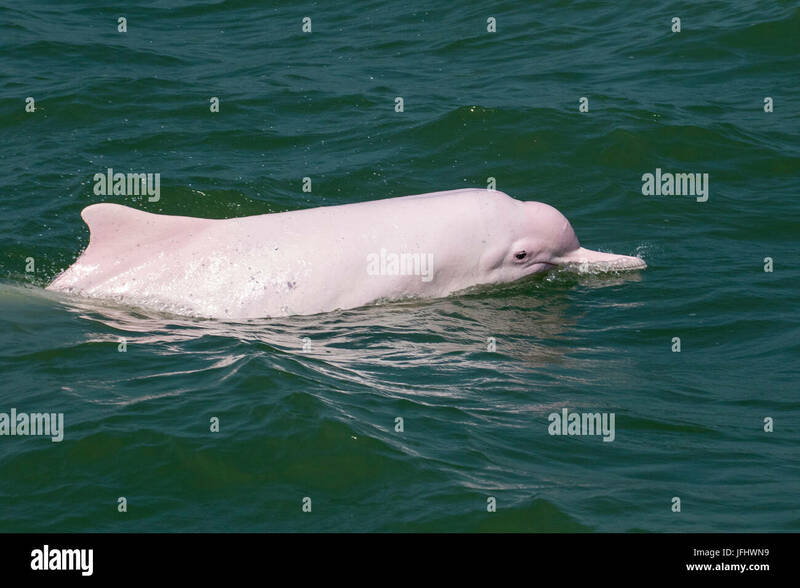 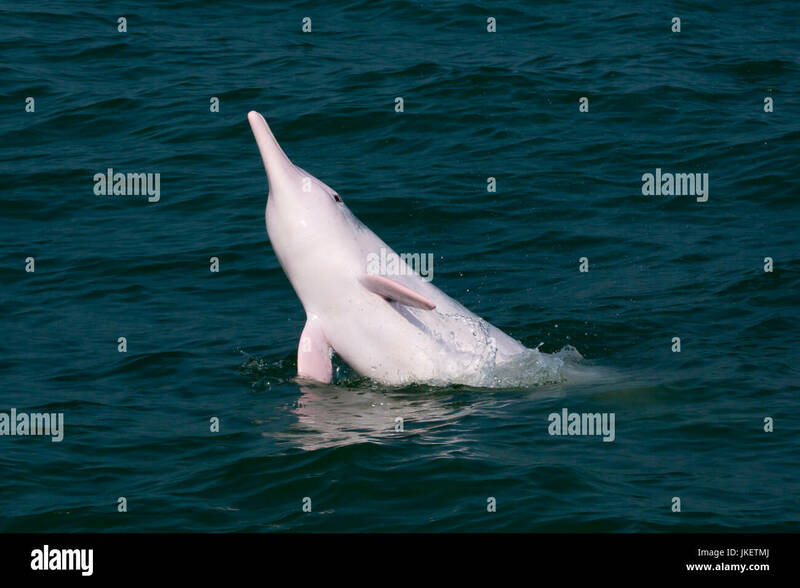 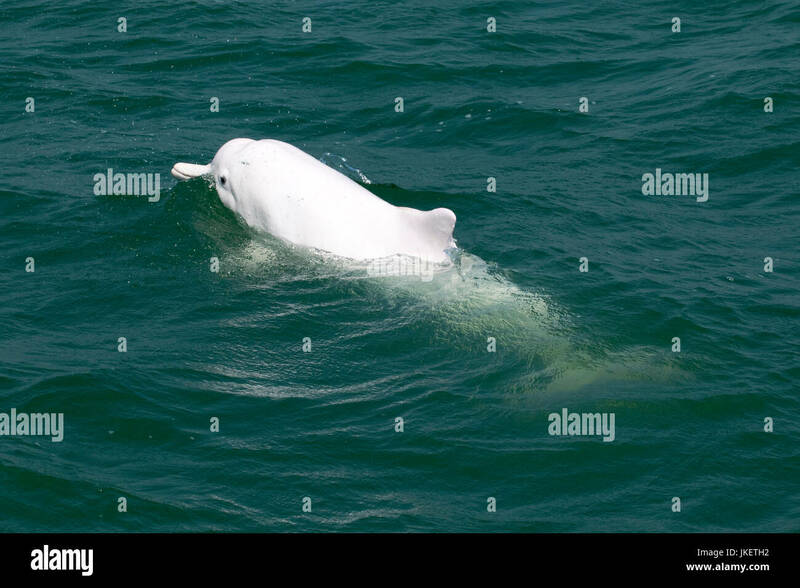 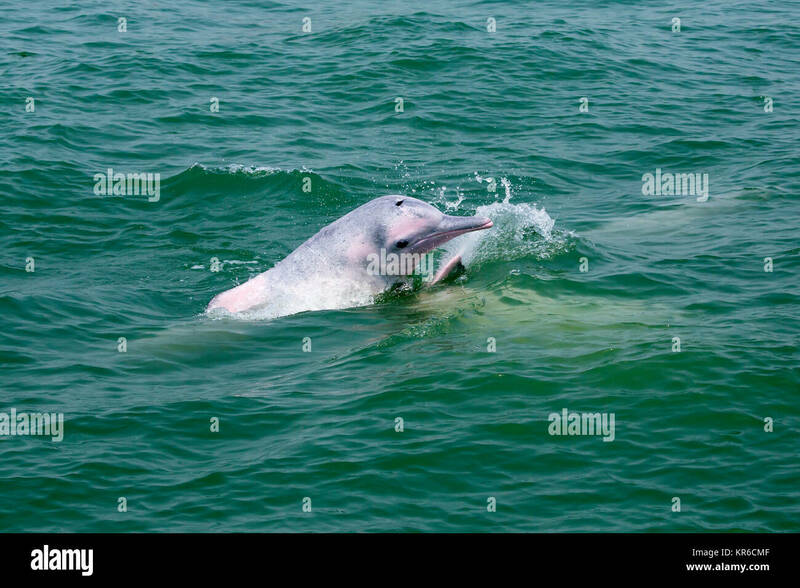 Indo-Pacific Humpback Dolphin (Sousa chinensis) socializing in Hong Kong waters. 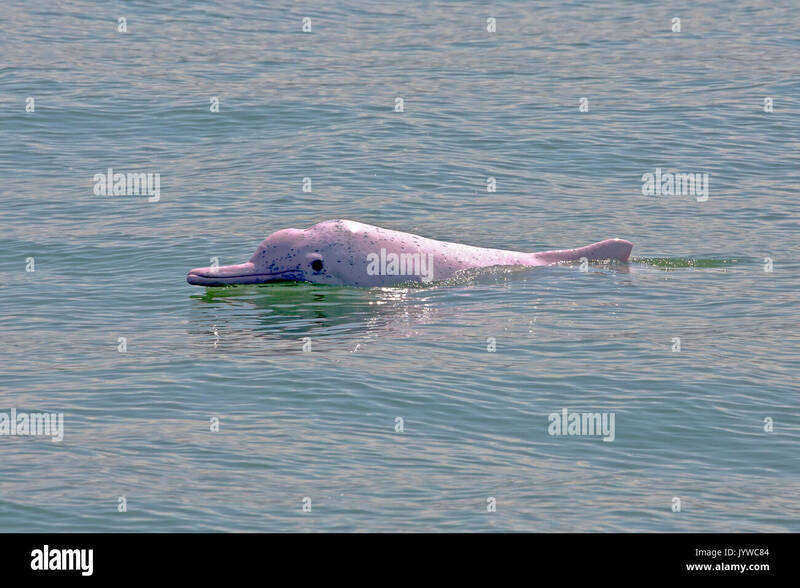 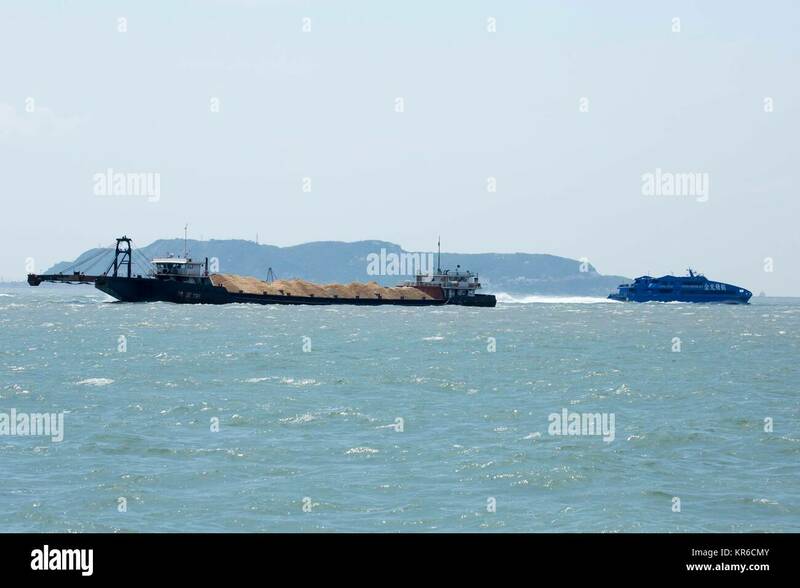 This coastal species is subject to increasing threats from humans. 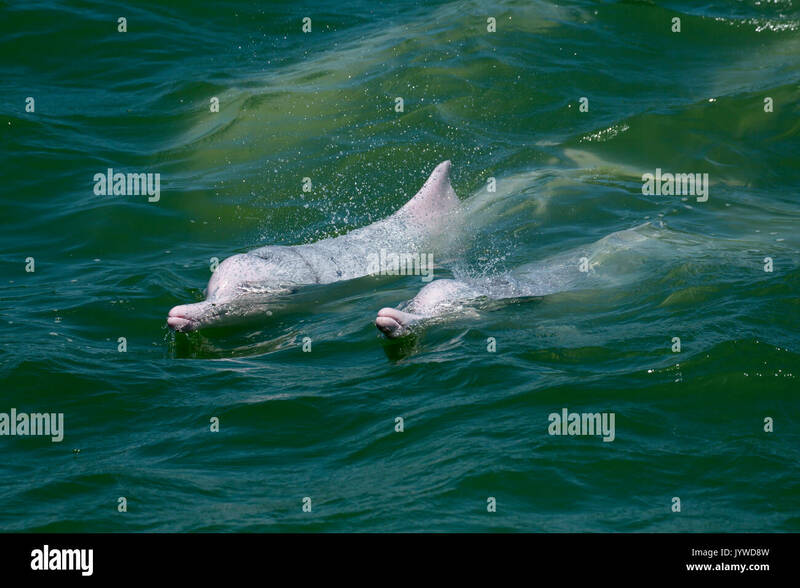 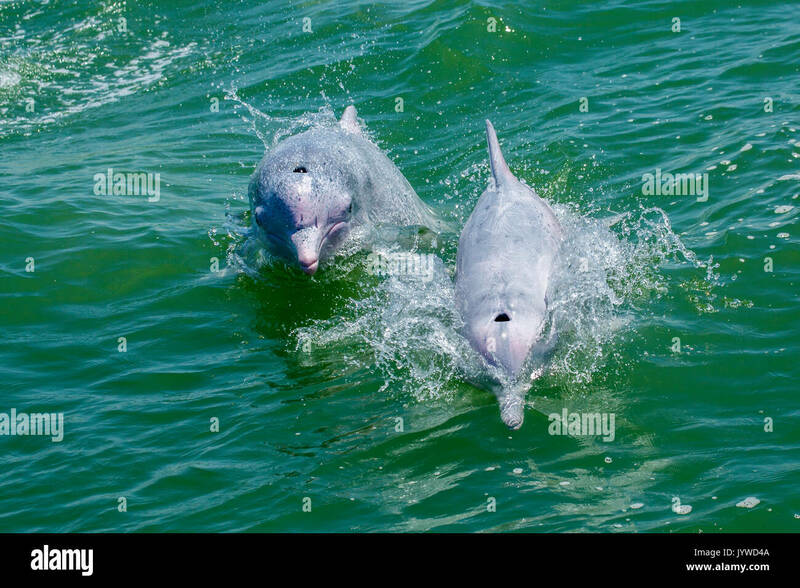 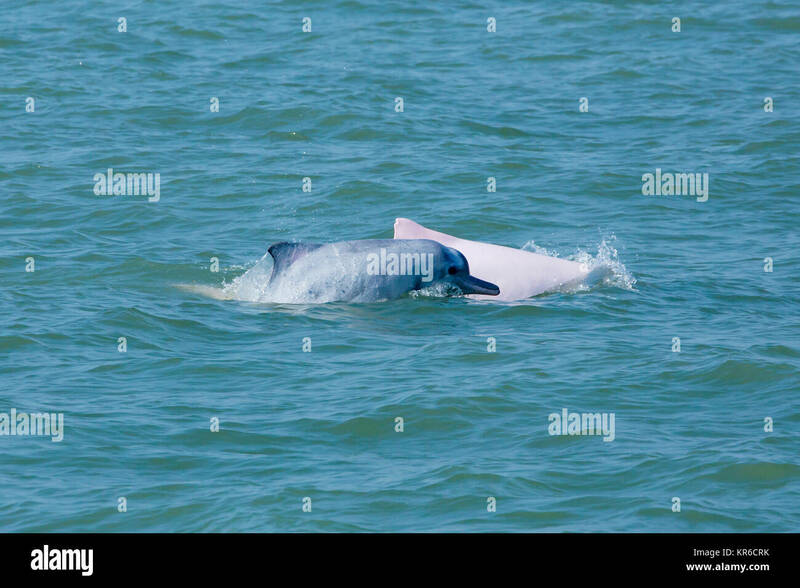 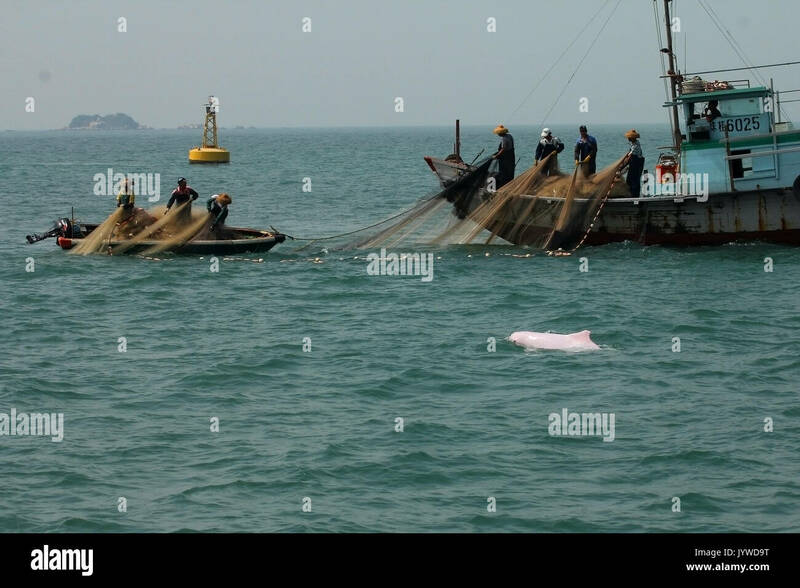 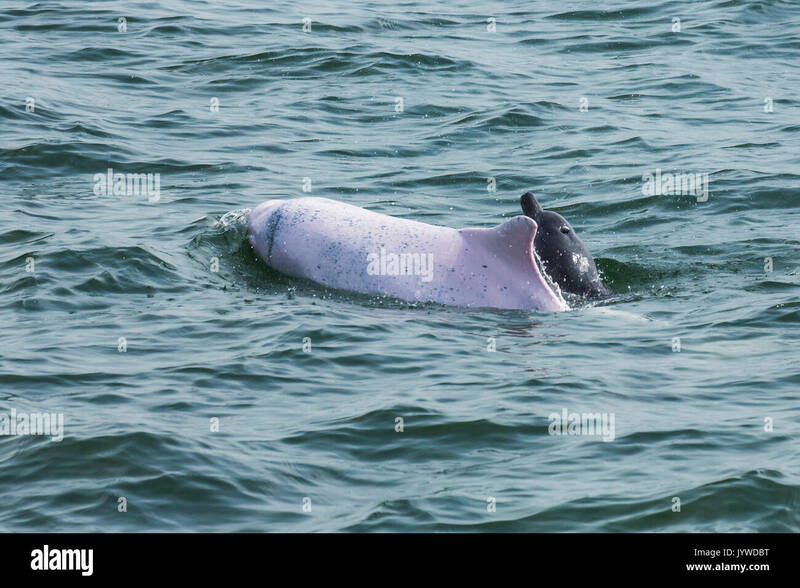 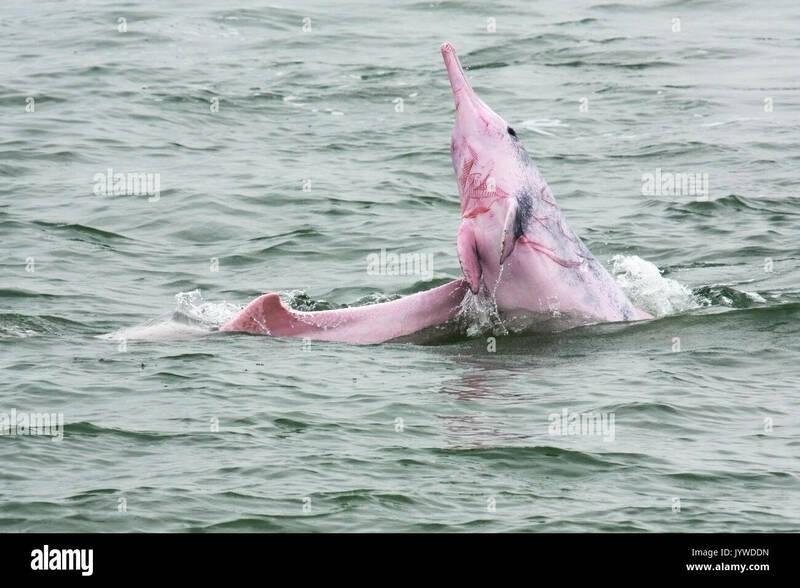 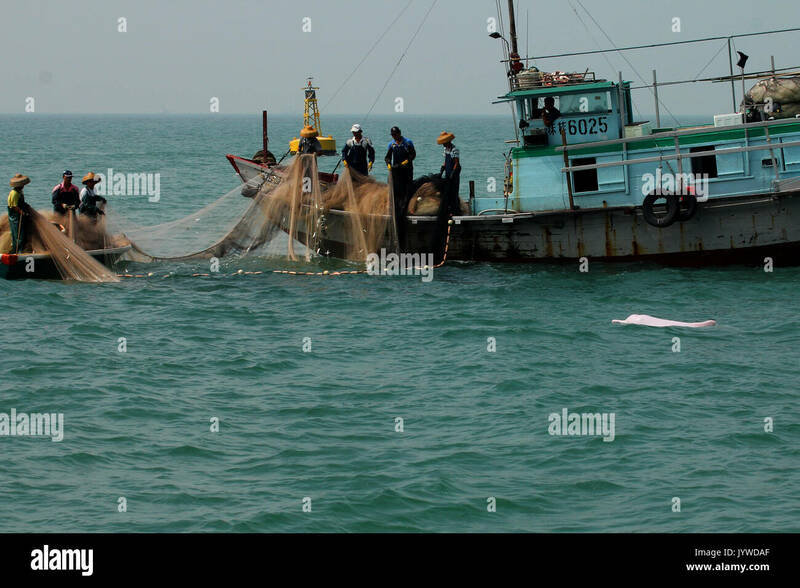 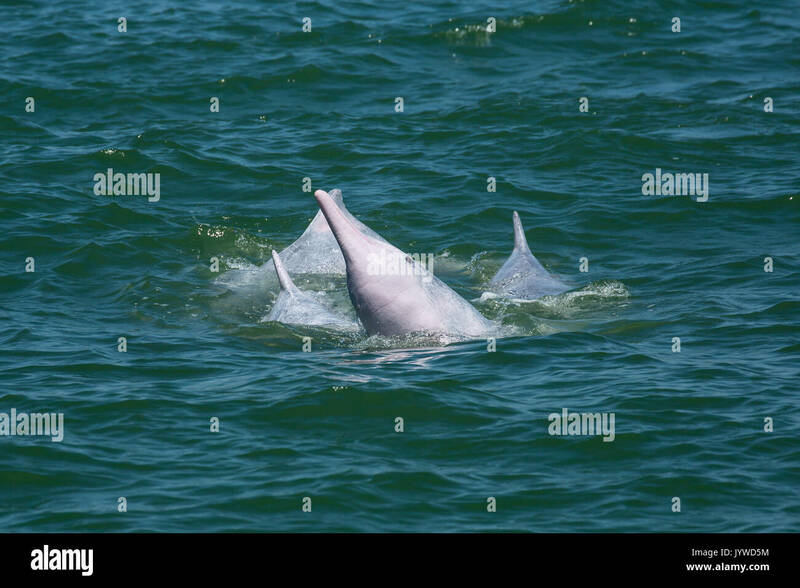 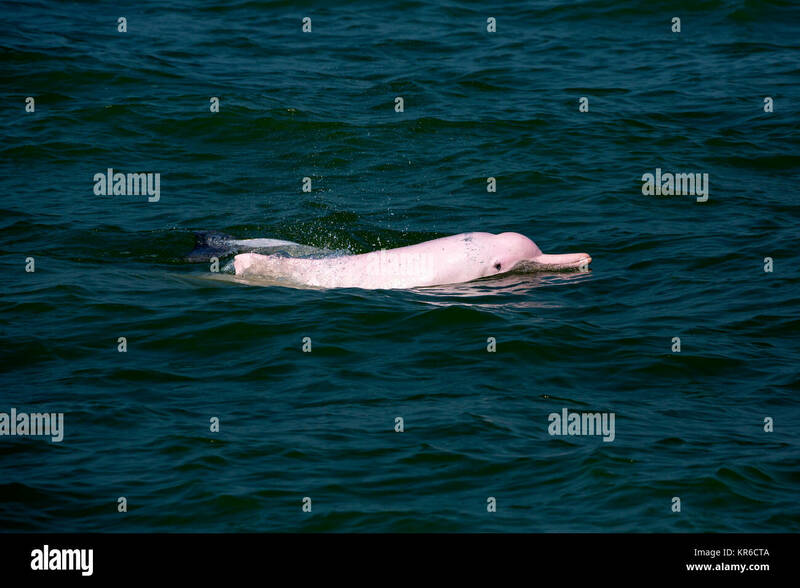 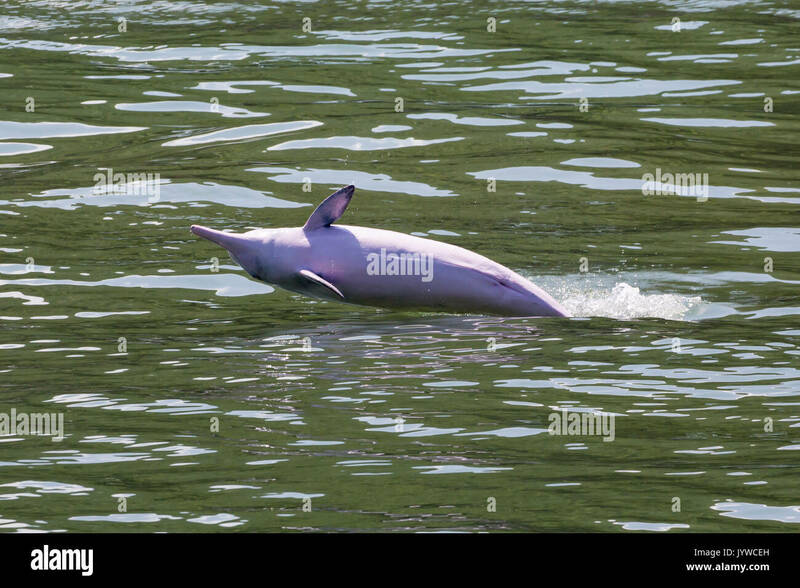 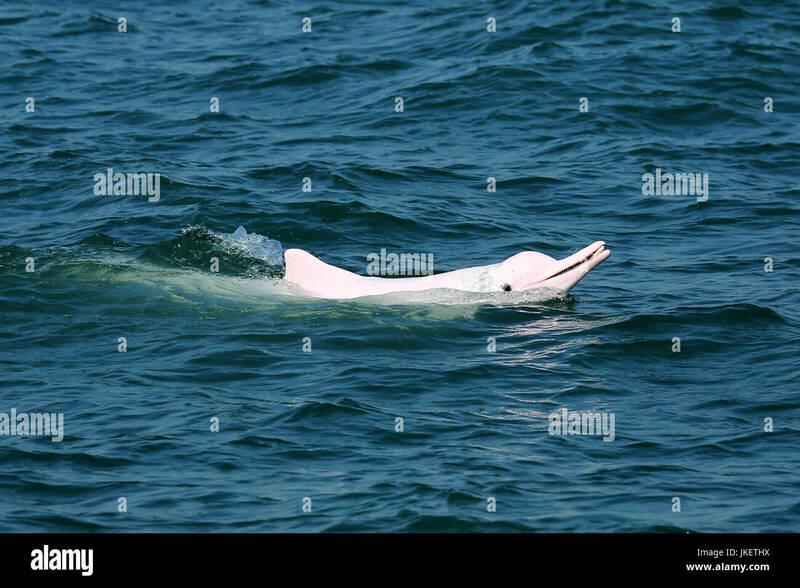 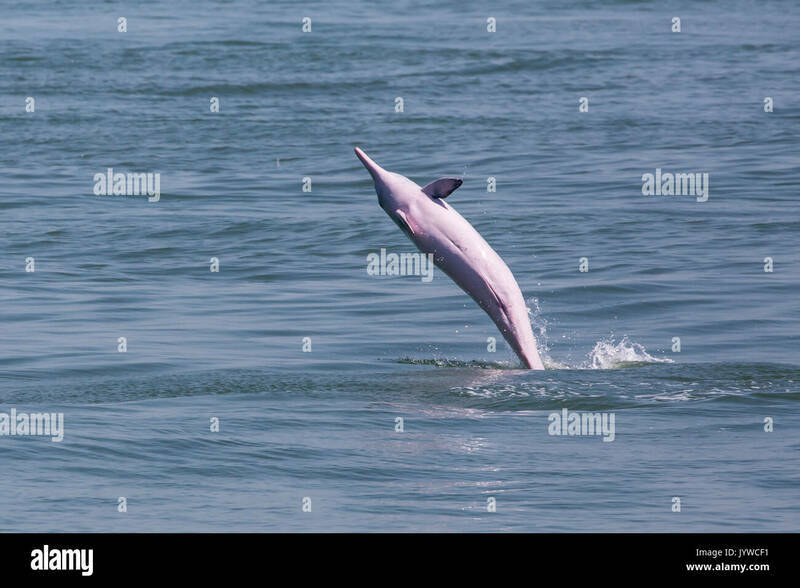 Indo-Pacific Humpback Dolphins (Sousa chinensis), one with a deep cut at the tail, probably due to entanglement. 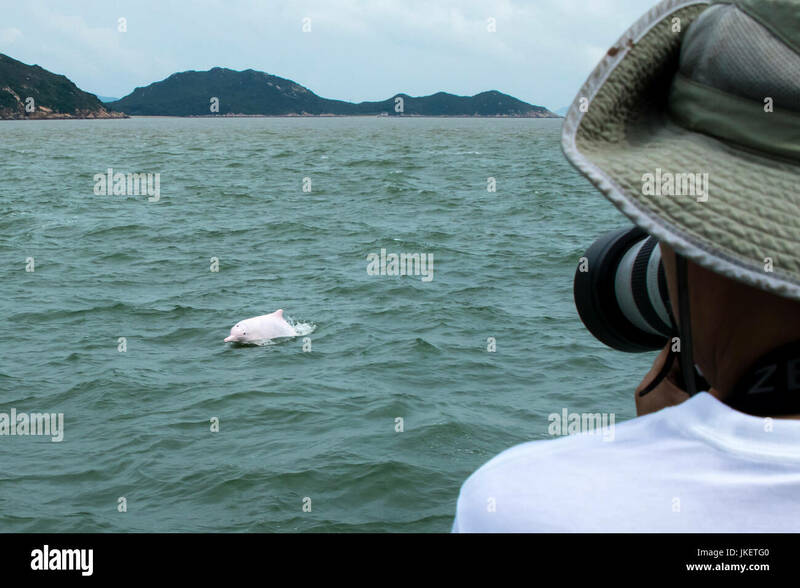 He / she is a lucky survivor. 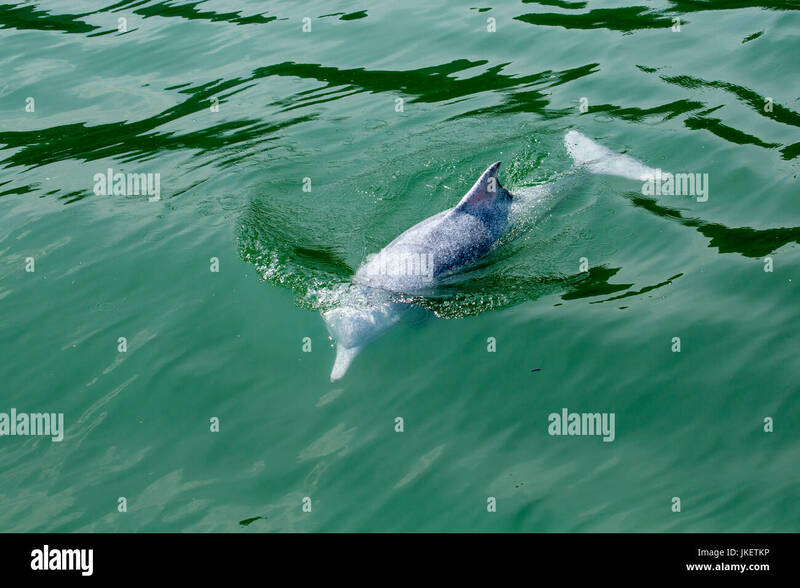 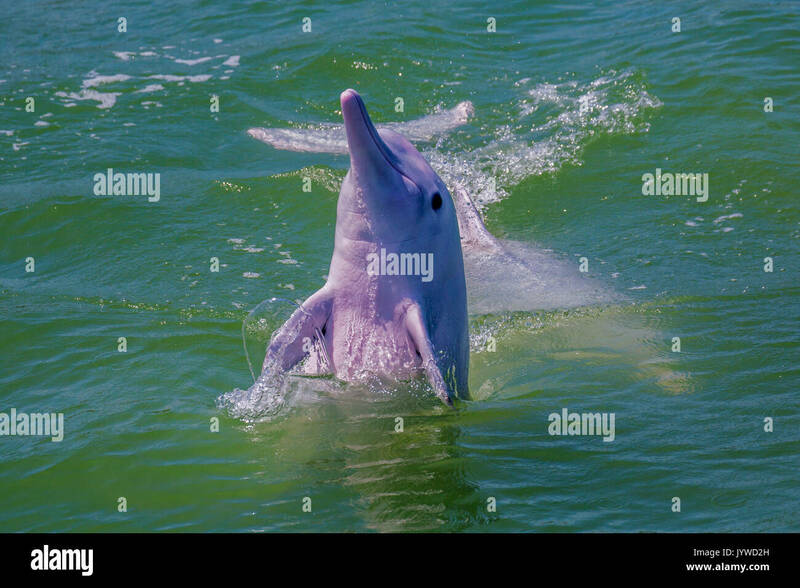 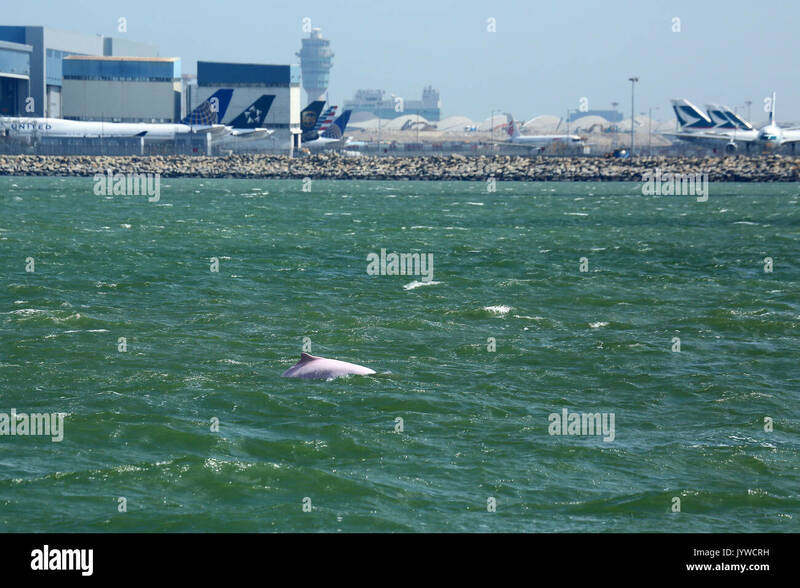 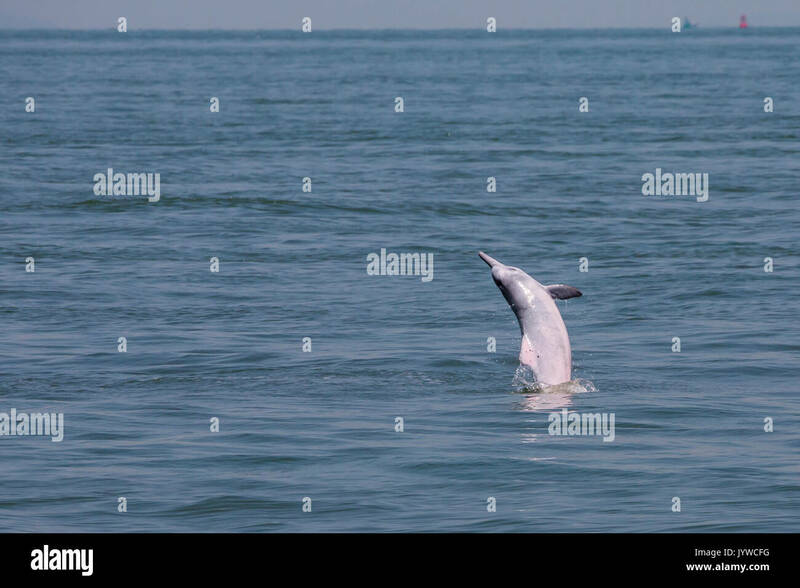 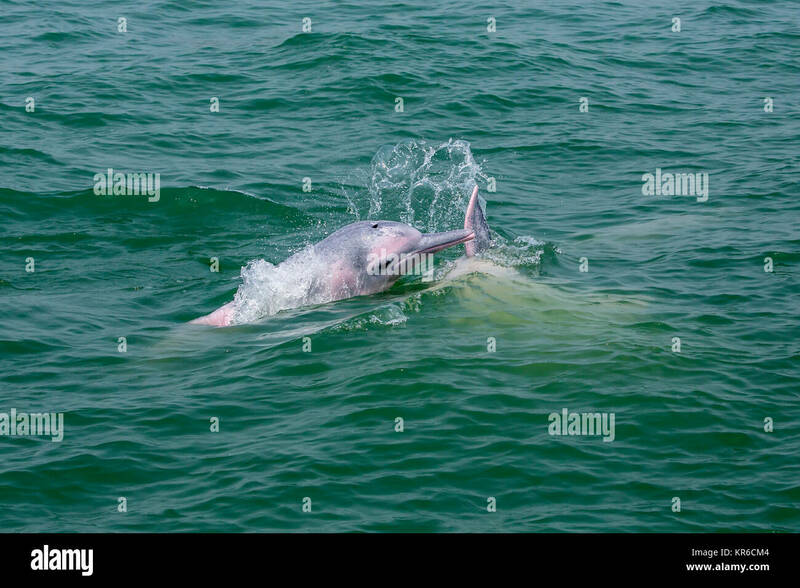 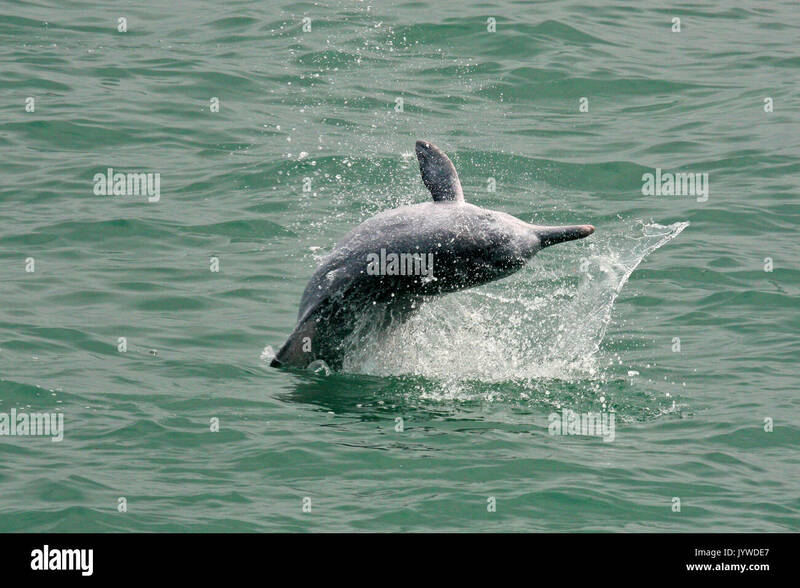 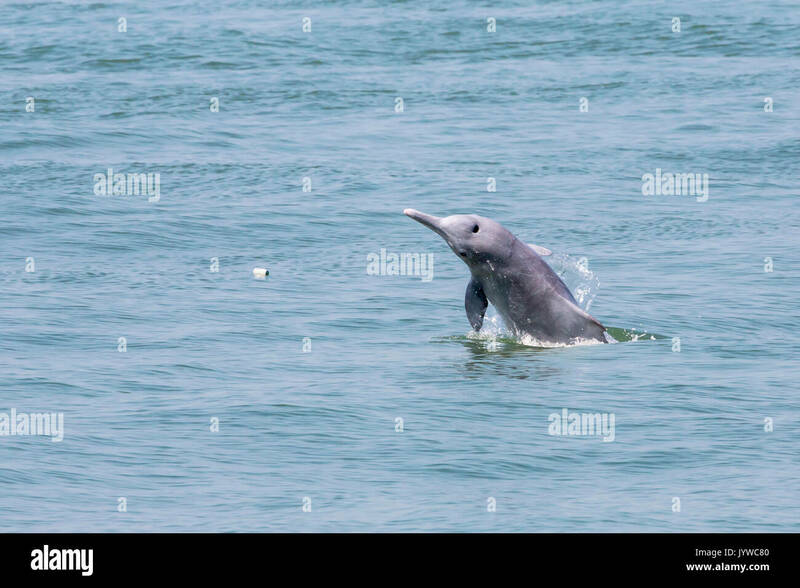 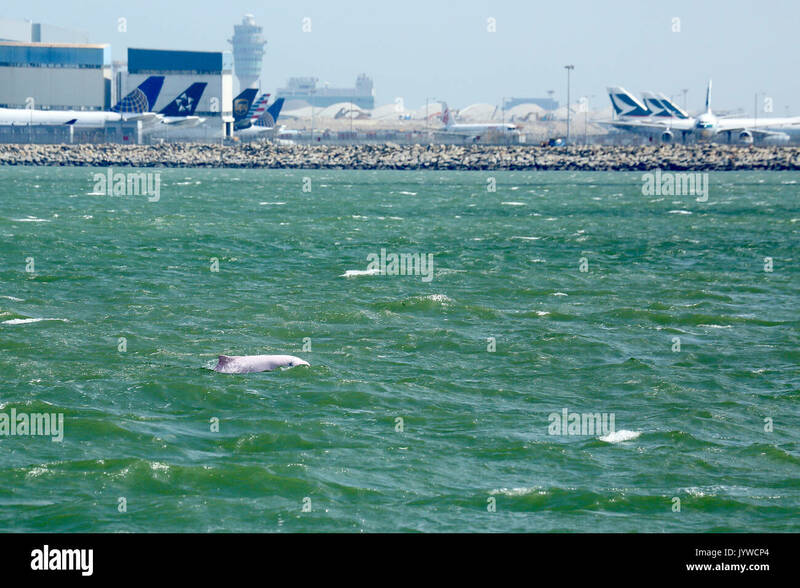 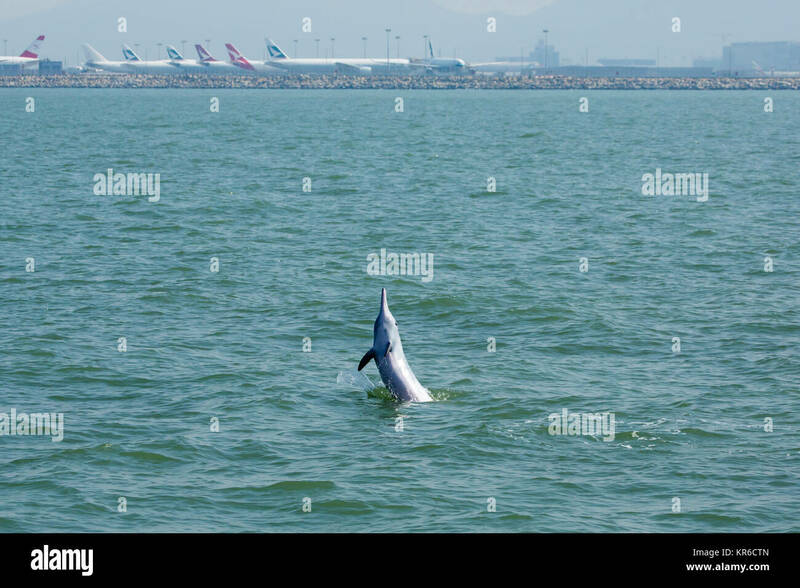 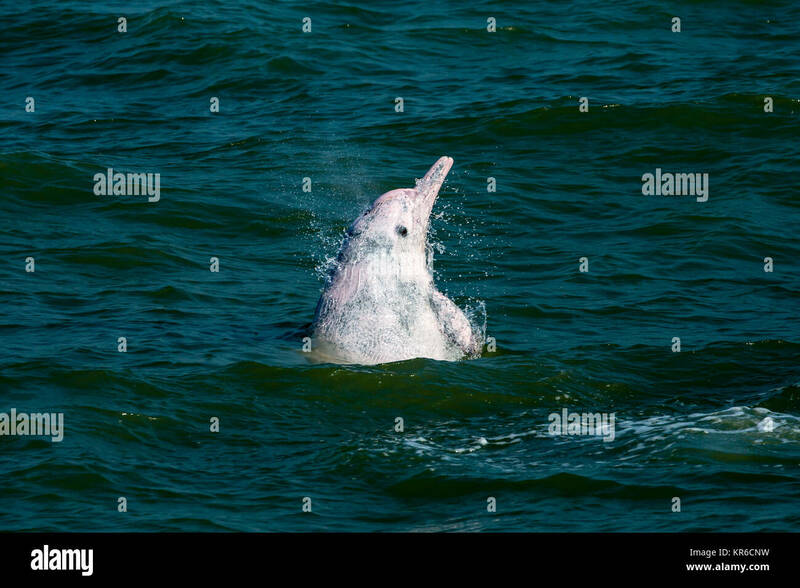 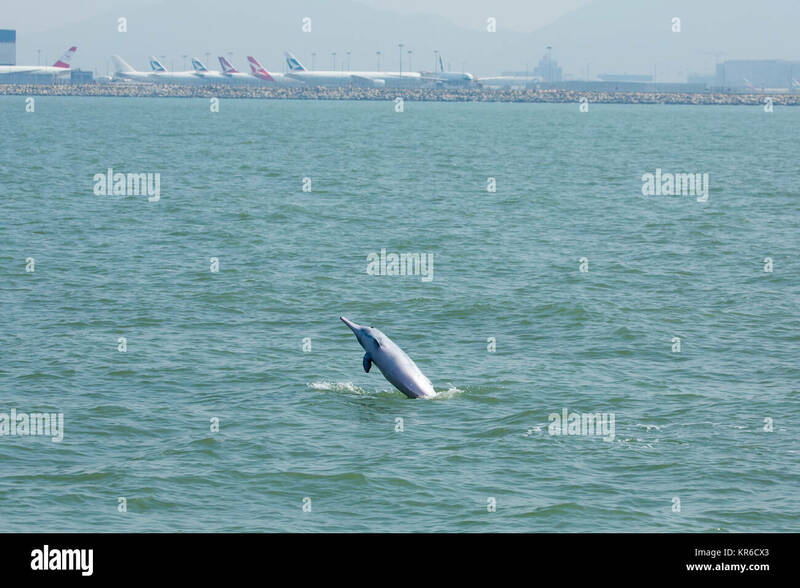 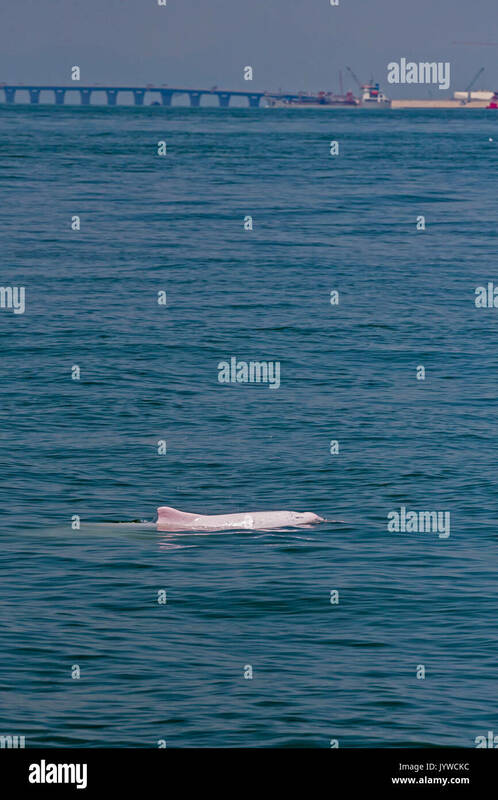 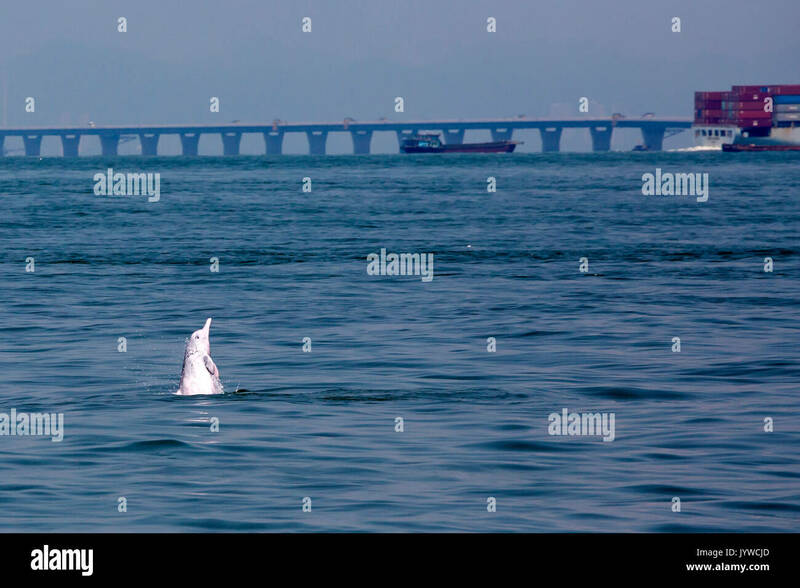 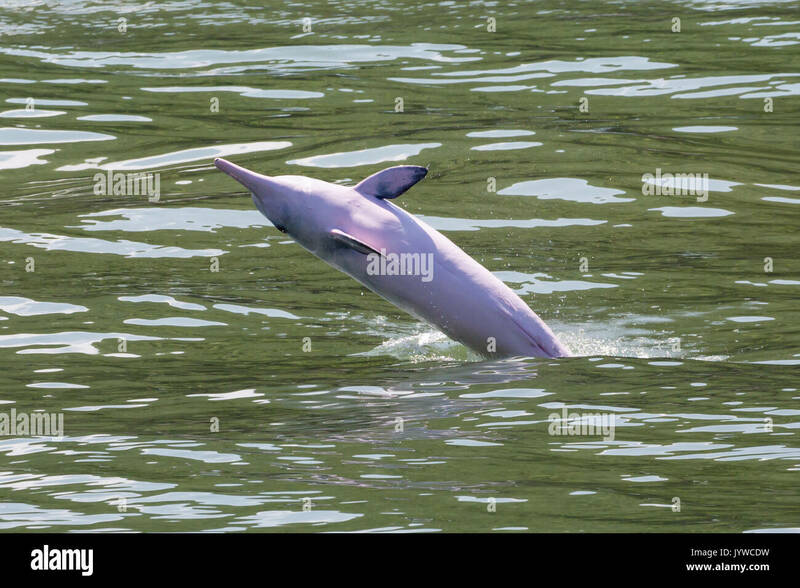 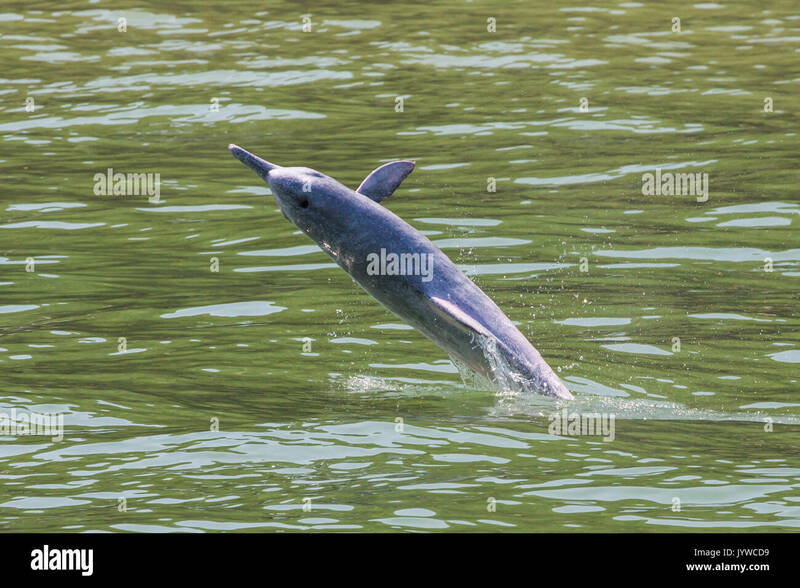 A young Indo-Pacific Humpback Dolphin (Sousa chinensis) breaching in Hong Kong waters, with rubbish (plastic bottle) in the sea.